People used to use the heat of the sun for drying and today we can still buy ‘sun-dried tomatoes’ and ‘sun-dried raisins’ from the supermarkets. Sun drying involves many days of hot sun and dry air, which unfortunately this country is usually short of. However, nowadays you can buy electric dehydrators, where you lay sliced foods such as apples etc. 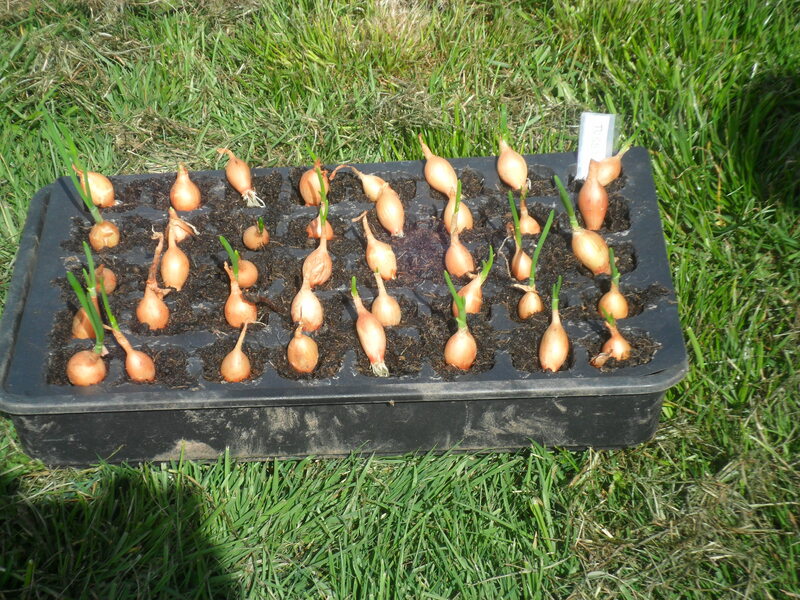 onto trays. I would absolutely love one of these, but I also have a long list of other gadgets I would love too. 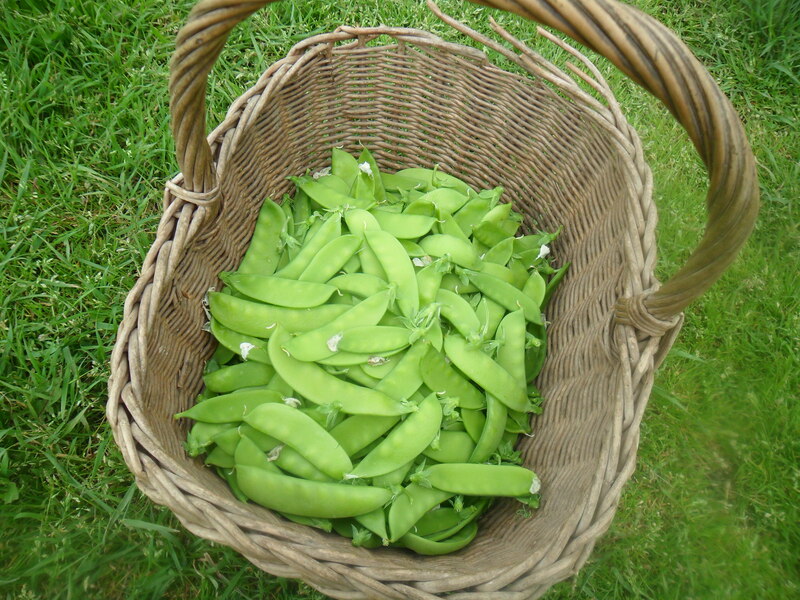 Years ago peas, beans and sweet corn were dried by families ready to use over the winter. 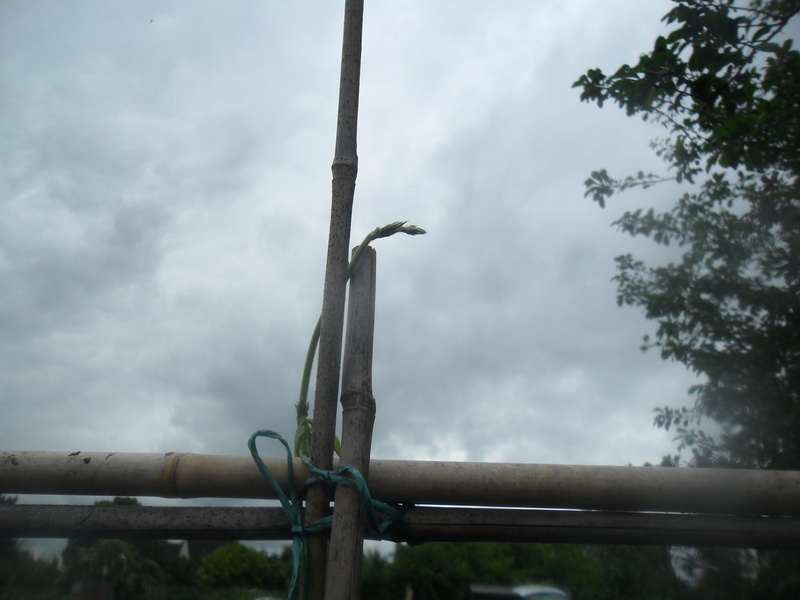 They were left to dry completely on the plants until they had turned yellow and then the plant would be cut to the ground and hung inside to finish drying. 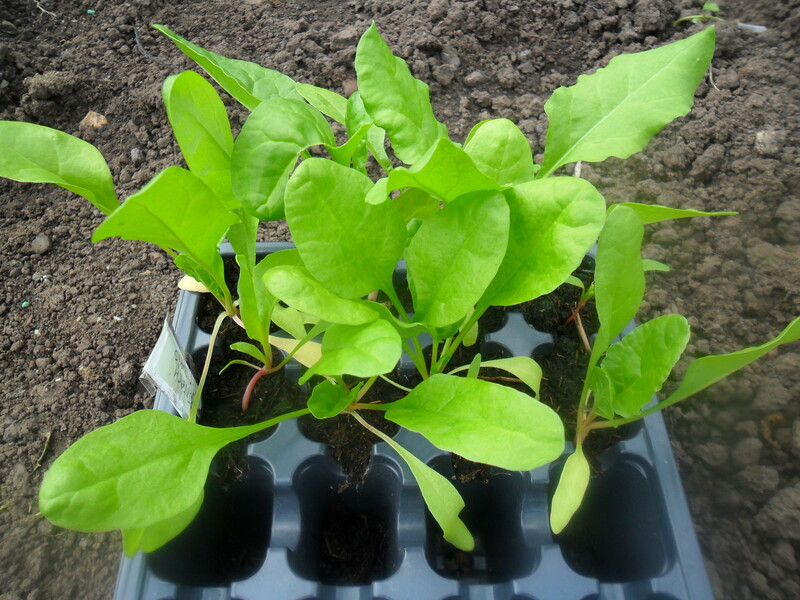 When the pods were brittle they would be shelled and then left on trays for a few more days before storing in airtight containers in a cool dry place. 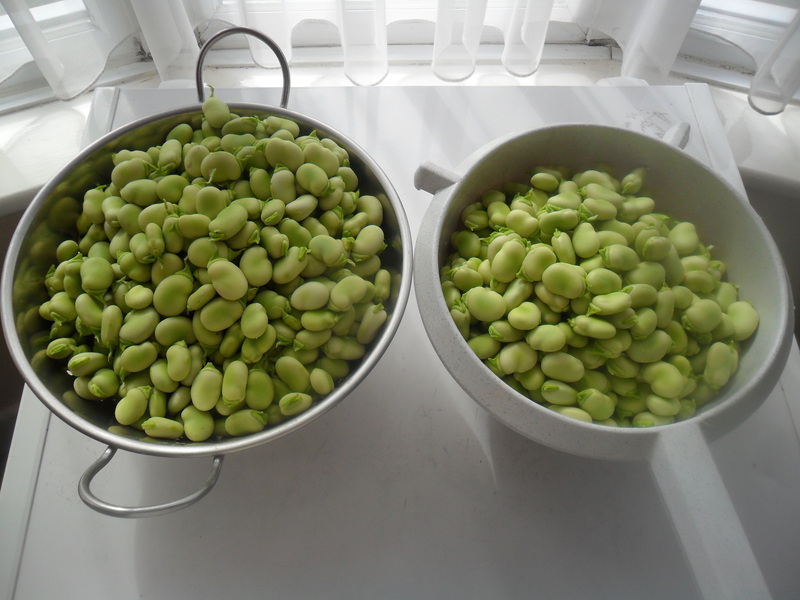 Today, however people find that the above things are actually nicer when they are frozen, so they don’t bother to dry them, though I do know some people that do still dry their home grown beans. 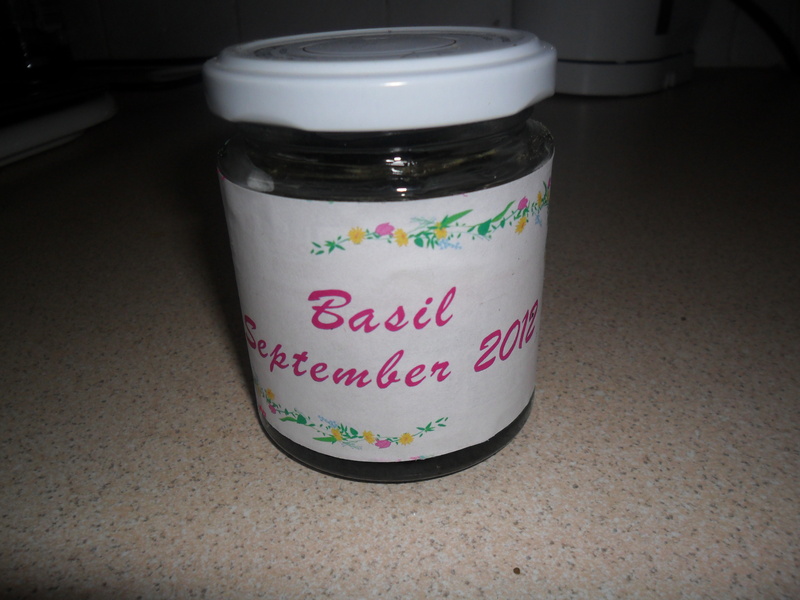 I have got to be honest, the only things I do dry are herbs such as basil and lavender. 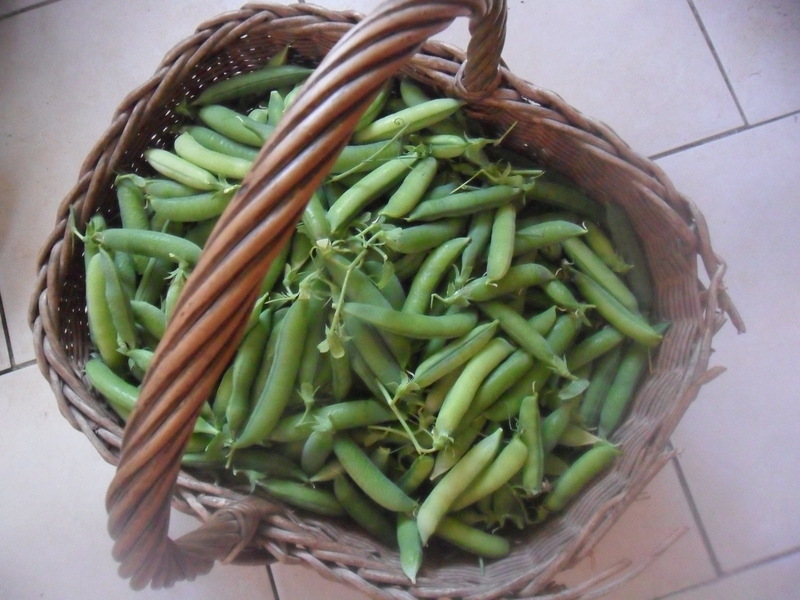 If you read books about drying, it will say you need a warm, dry place such as an airing cupboard to dry your produce. I wash my basil and shake it dry and then hang it in bunches in my kitchen. When it starts to crumble, then I know it is drying and I pop it into a paper bag so the bits don’t go all over my kitchen floor. 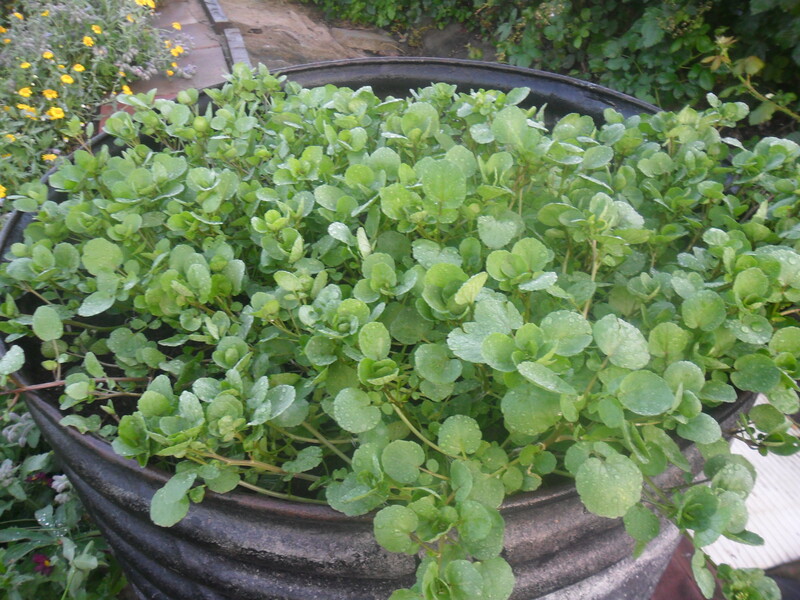 It can take several weeks to dry, but when it is dry I rub the leaves through a colander and store it in an airtight container in my pantry. 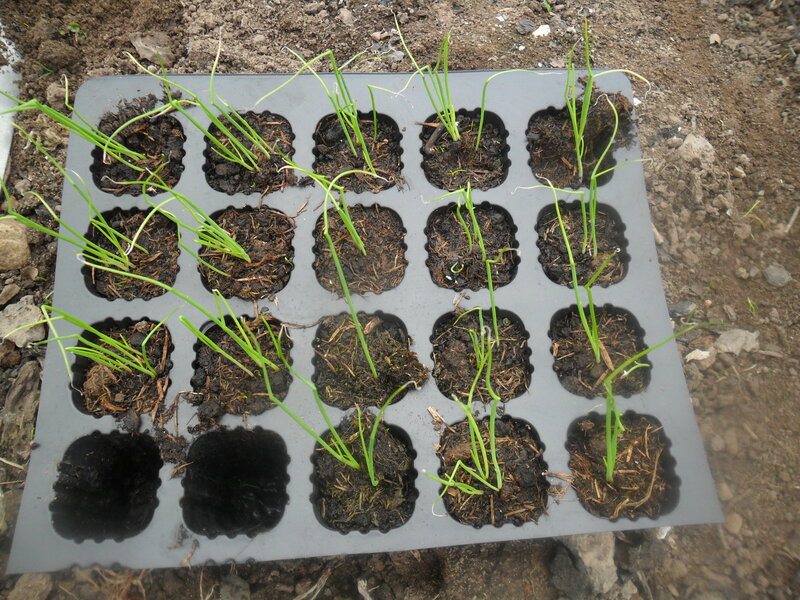 If you don’t want things ‘hanging’ around, you can easily dry your herbs on trays in your oven. 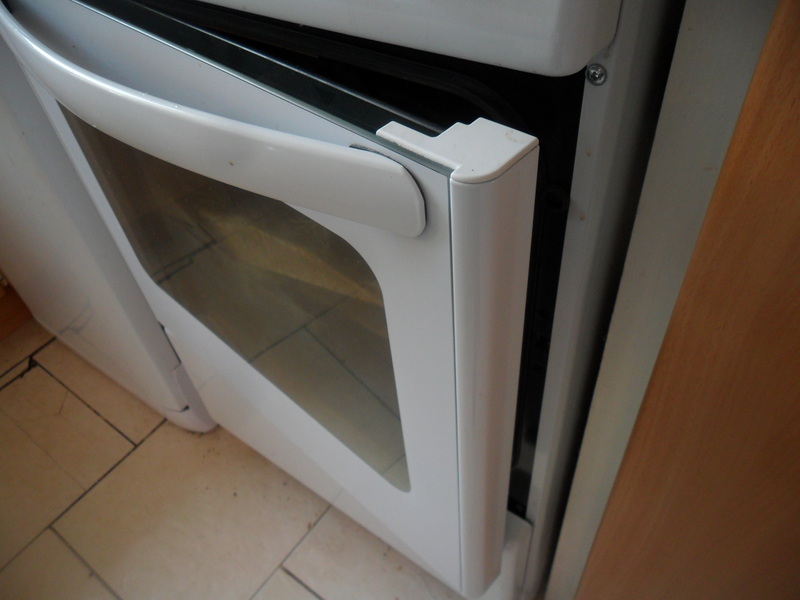 This year I dried my basil by placing the washed basil leaves in the oven on its lowest setting and leaving the door slightly open. It does take several hours and obviously costs money to heat the oven, but the drying procedure is over in a day. Bottling (known as ‘canning’ in many other countries). The idea is food in bottles is heated to a high enough temperature for a designated length of time to stop any enzyme activity and kill off all the bacteria, yeasts and fungi. 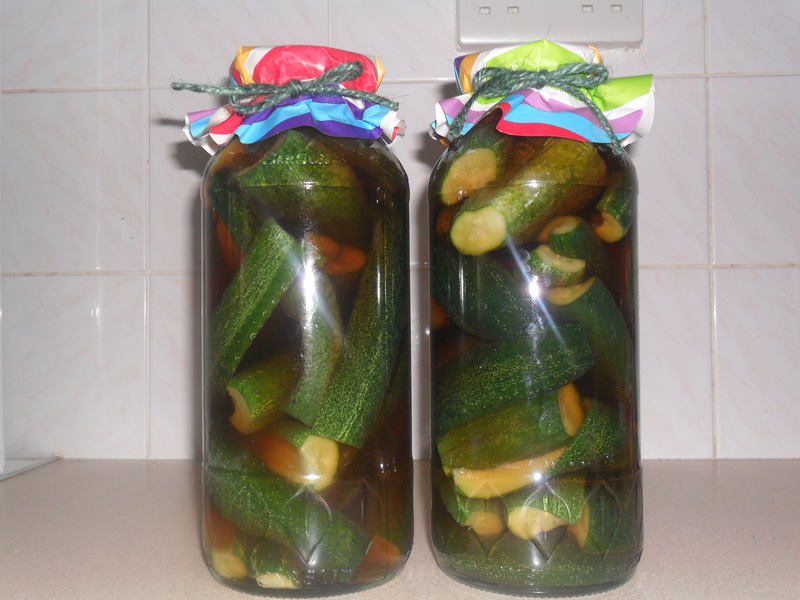 The jars are sealed at this high temperature so no further micro-organisms can re-enter the bottles. 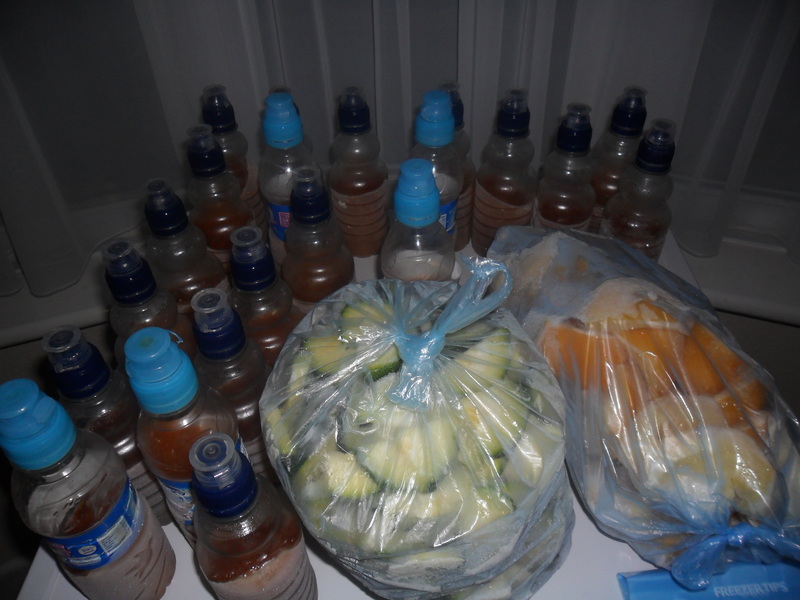 It is vitally important to follow correct instructions when you bottle foods in this way, as you can be very very poorly if you don’t…which is why I am happy to use other methods of preserving, though I know a lot of people out there do use this method. 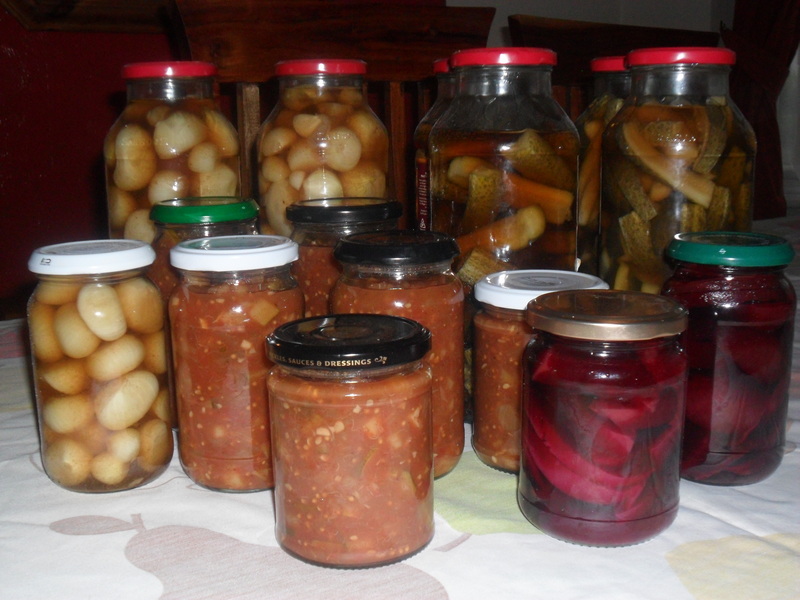 Pickled beetroot, pickled gherkins, pickled onions etc are really easy to make as it is just a case of preparing the vegetable and pouring pickling vinegar over it. Recipes usually tell you that pickling onions should be left overnight soaking in a salt water brine. I have used this method and I find that the onions lose their ‘bite’, so I use my dads method instead. 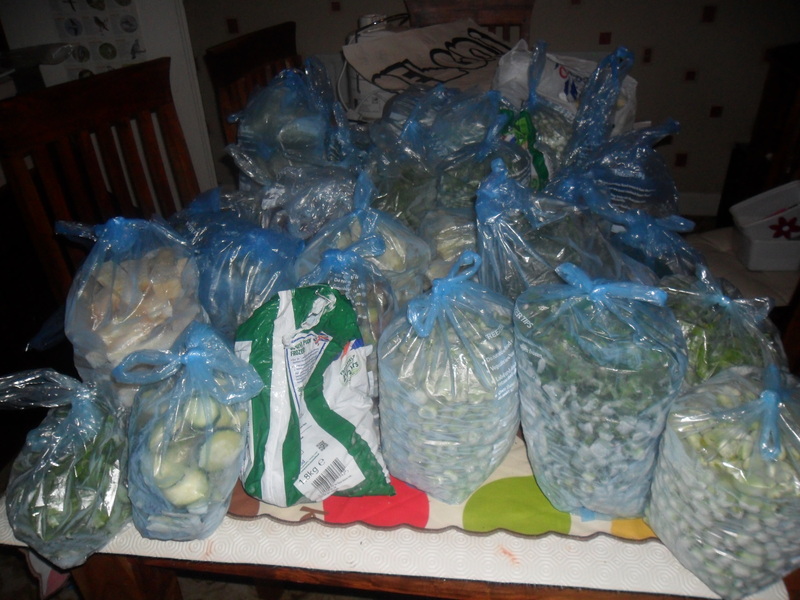 He peels and washes the onions and then covers them in salt and leaves them overnight (no water is added to the salt). 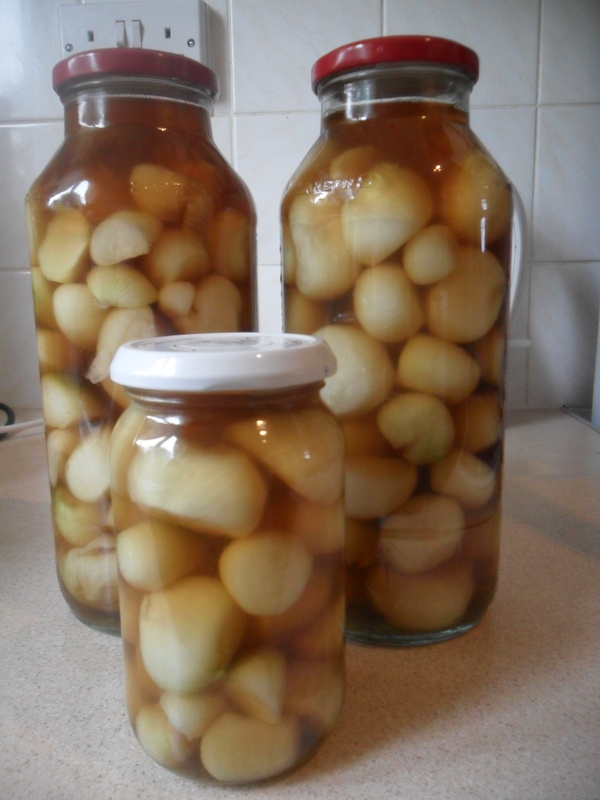 In the morning he washes the salt off the onions, dries them and then puts them in sterilised jars, covering them with pickling vinegar. Two to three weeks later, the result is a pickled onion with a ‘bite’ to it. Just how we like them. 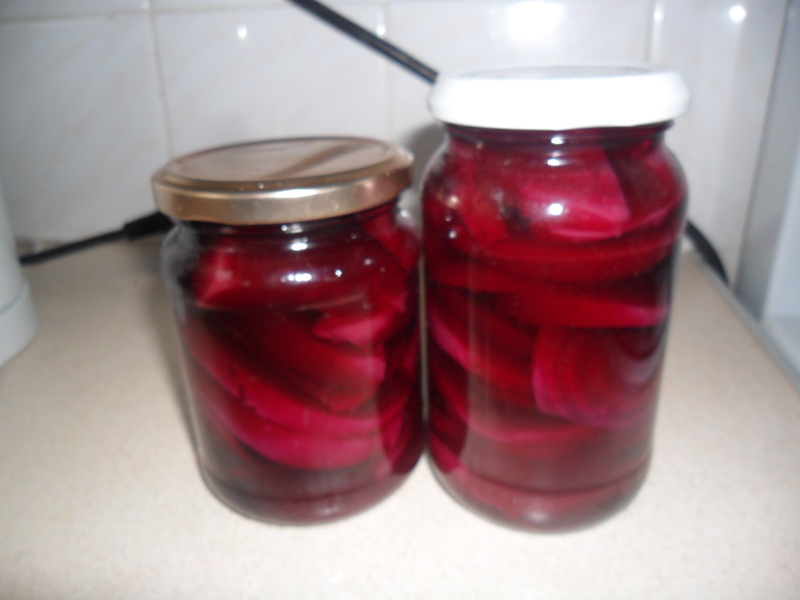 Full details of how to pickle beetroot, gherkins, onions etc are on my recipe index here (under preserves at the bottom of the page). Chutneys are a mixture of vegetables and fruit cooked in vinegar. The most famous shop bought chutney nowadays must be good old ‘Branston Pickle’. Chutneys are easy to make, though they can sometimes take a couple of hours to make but they taste delicious served with salads and cold meats. The good thing about chutney is it seems to mature with age and lasts for months. This is one of my favourite ways to use up home grown fruit. 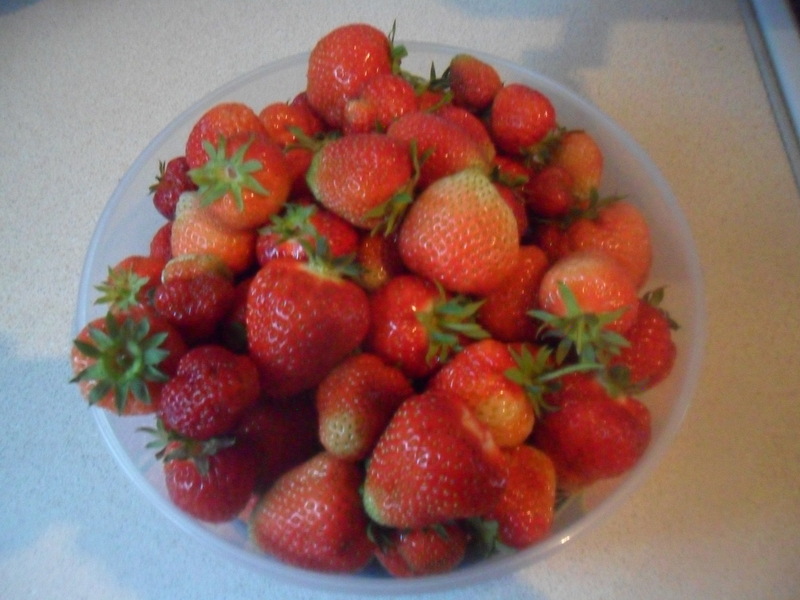 In fact, if I didn’t make strawberry jam for my youngest daughter there would probably be a riot in my house. 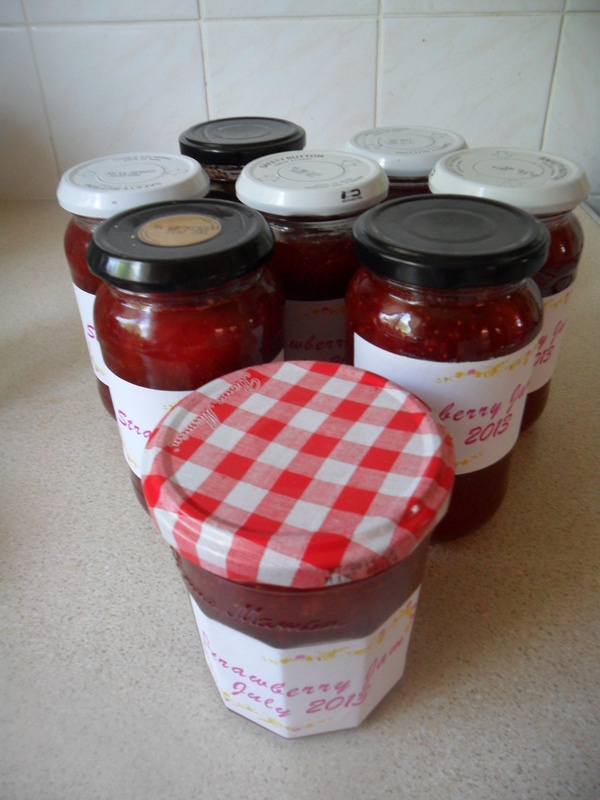 I know you can buy jams and jellies easily from the supermarkets, but if you have fruit to use up then it is so much cheaper to make your own and you know exactly what goes into it. I won’t go into how you make jam, as there are lots of jams and jelly recipes on my recipe index here (under preserves at the bottom of the page), but what I will say is jam making is easy provided you follow a few basic tips which I have listed below. Just to let you know, the pan I use to make jam is a ‘maslin’ pan which is deep enough for jam making. Mine was second hand, purchased for £10 from ebay and it was worth every penny. 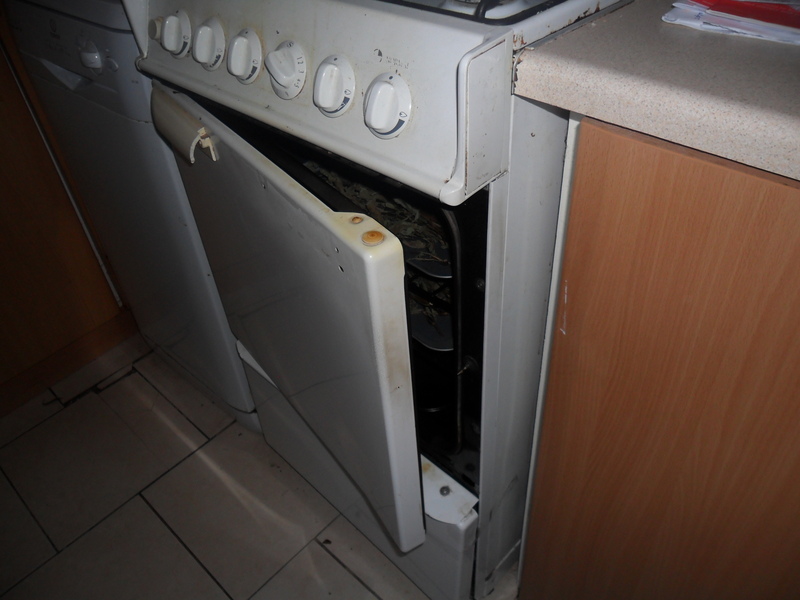 Clean equipment – Always use equipment that is scrupulously clean and jars that have been sterilised. 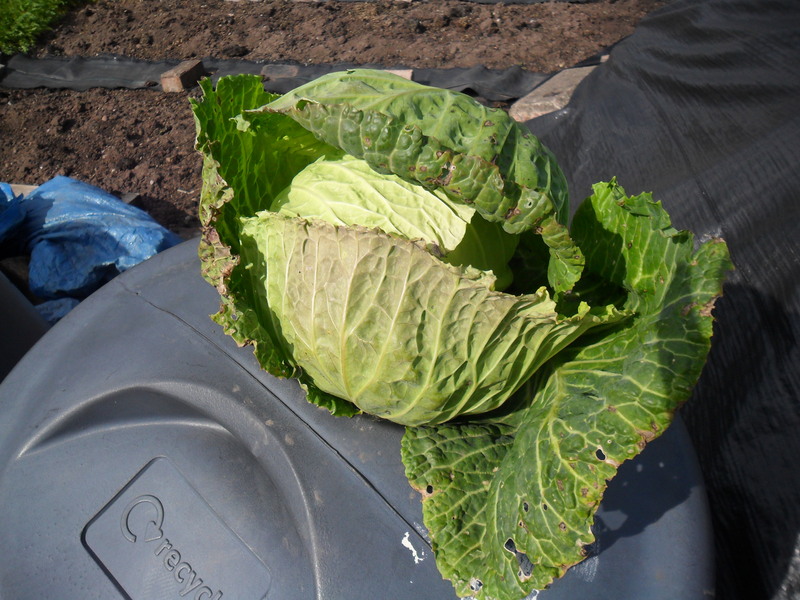 Fruit – Always use undamaged fruit. Fruit with too much damage will spoil the result and the jam is likely to deteriorate quickly. Pectin – Jams, jellies and marmalade set because of pectin. Pectin occurs naturally in fruit and when cooked with sugar the naturally occurring acid in the fruit, thickens and sets the preserve. Citrus fruit, blackberries, apples and redcurrants have high pectin levels. 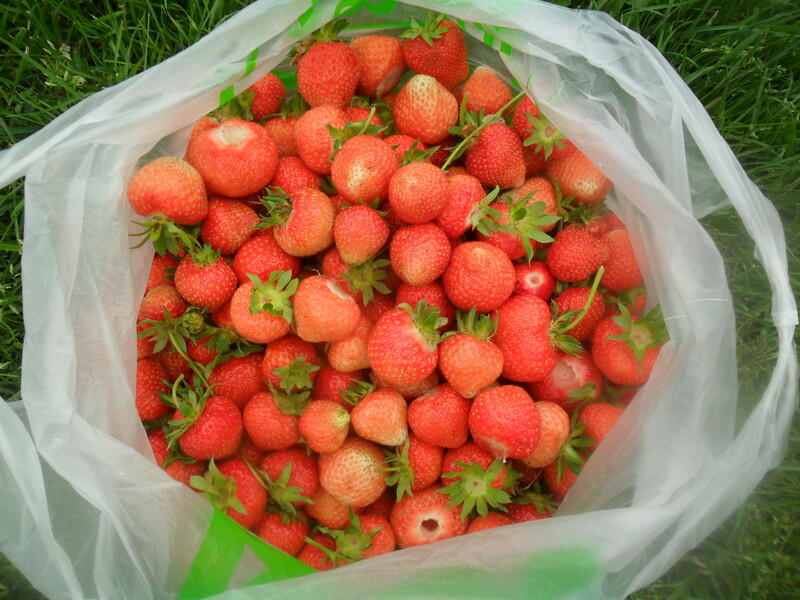 Soft fruits such as strawberries have a lower pectin level. If fruits are low in pectin then you can add fruits with a higher level of pectin to it or just add a few squeezes of lemon juice which will help them to set. 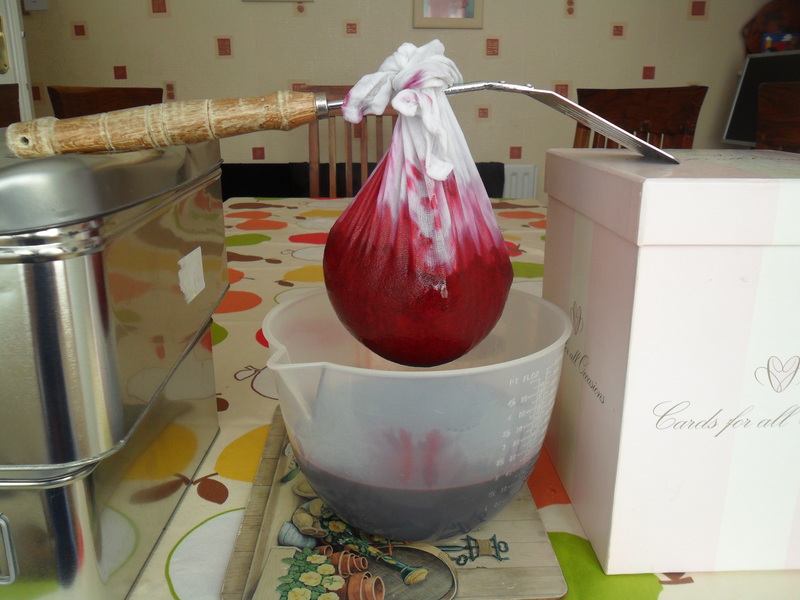 When possible use slightly under ripe fruit when pectin levels will be at its highest. Sugar – I use granulated but you can use preserving sugar, but it is more expensive. Preserving sugar will help set low-pectin fruits, but I just add lemon juice, which does the same job. Quantity – Don’t make too large a quantity at one time. 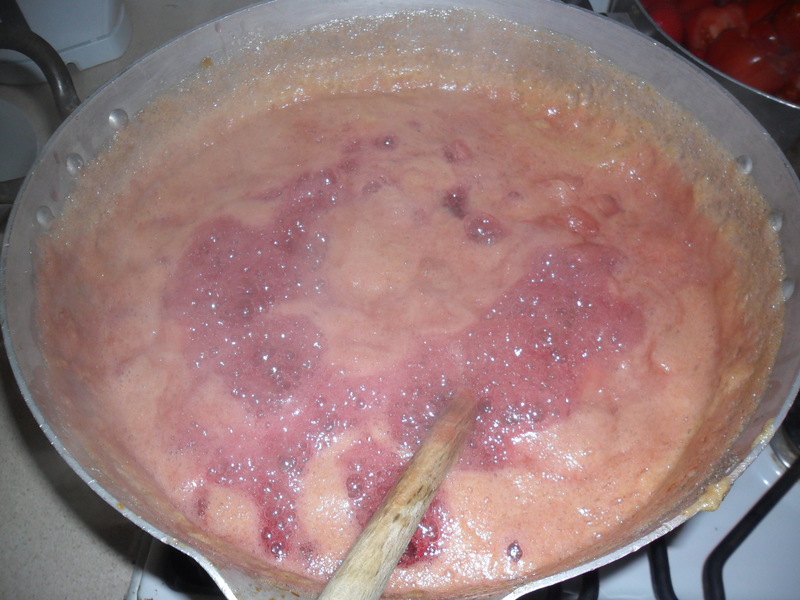 Large volumes of fruit and sugar will take a long time to reach setting point, causing the fruit to break up and eventually dissolve in the jam. To test for the setting point – Place a few small plates or saucers in to your freezer for a while before you start to make jam, so they are really cold. 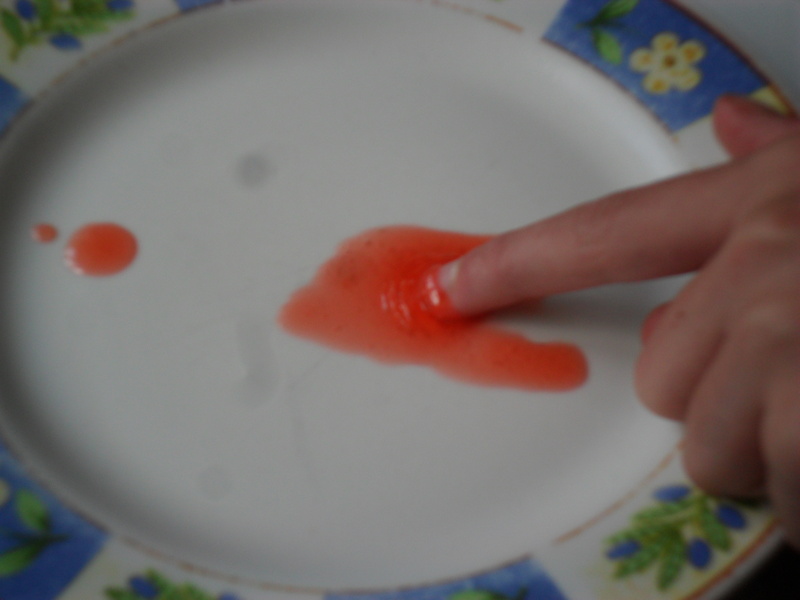 Pour a small drop of the hot jam on to the plate and wait a few moments. Push the edges of the jam with your index finger and if the jam wrinkles then the setting point has been reached. If it’s not set, continue to boil it and check again in 5 minutes. Don’t overcook. It is tempting to keep cooking to achieve a firmer set. A slightly looser jam is preferable to one that tastes burnt or where the fruit has dissolved. Don’t worry if you didn’t judge your jam setting point correctly and it’s runny, just call it a ‘preserve’ instead. Scum – There is always a little bit of scum on the jam after the setting point has been reached. Skim it off with a ladle or add a tiny knob of butter and stir. This will dissolve the scum almost instantly. 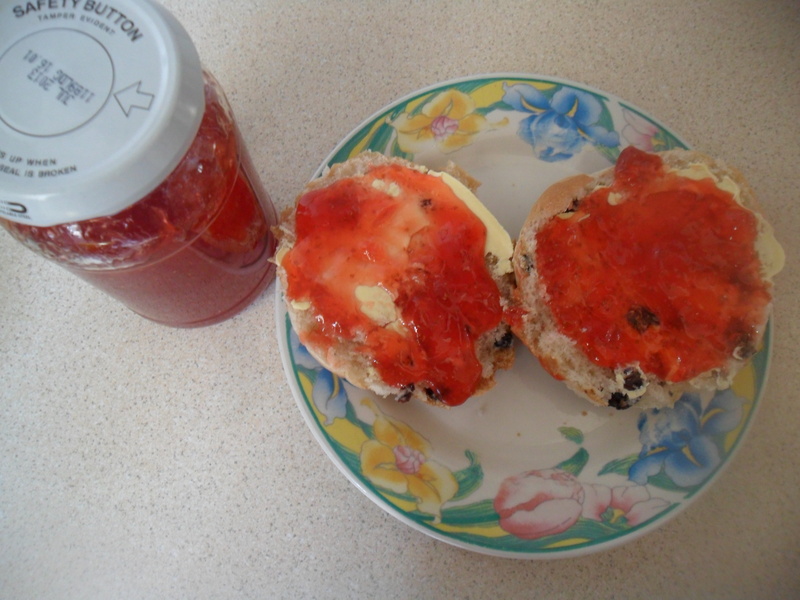 Leave the jam to settle – Always leave the jam for 15 mins away from the heat, once the setting point has been reached. This will prevent the fruit from rising to the surface of the jar when you pour it in. 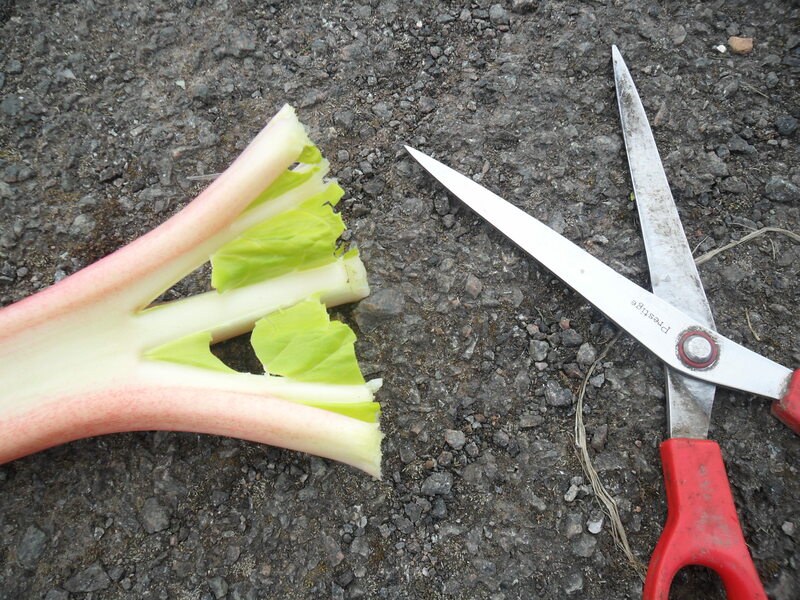 This is the end of my feature on ‘Preserving and Storing Your Crops’ as I have written an awful lot on the subject. 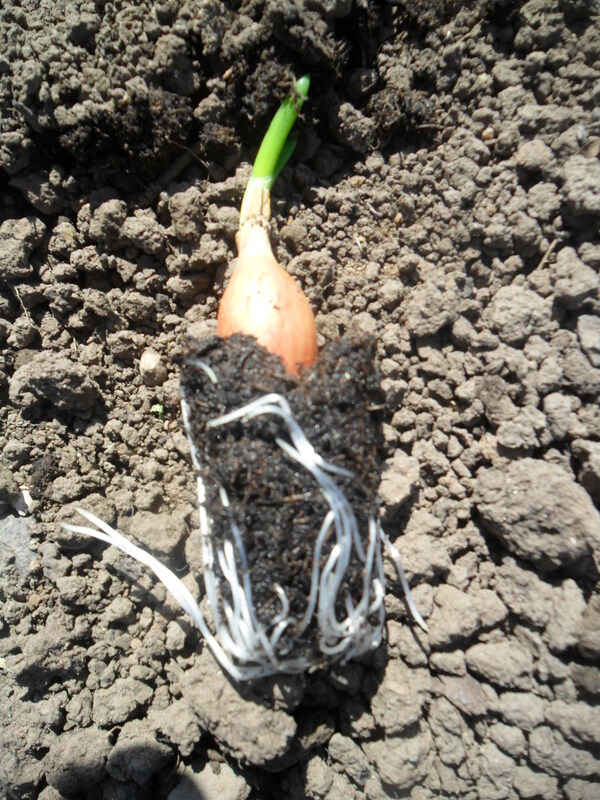 There are many other ways to preserve crops e.g. wine making, fruit butters and cheese making etc. but I have written about the basic methods, as these are the most used. 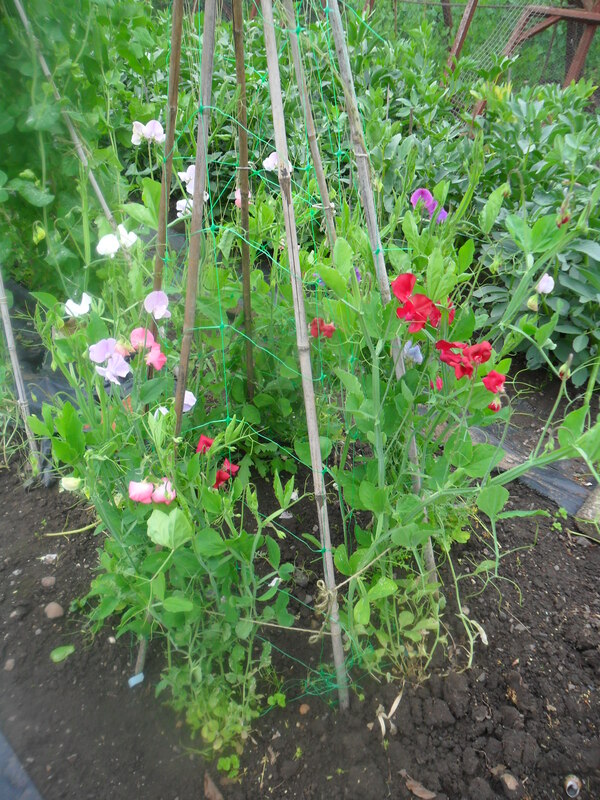 I really hope you have enjoyed reading about ‘Preserving and Storing Your Crops’. I would love to hear any feedback from you. 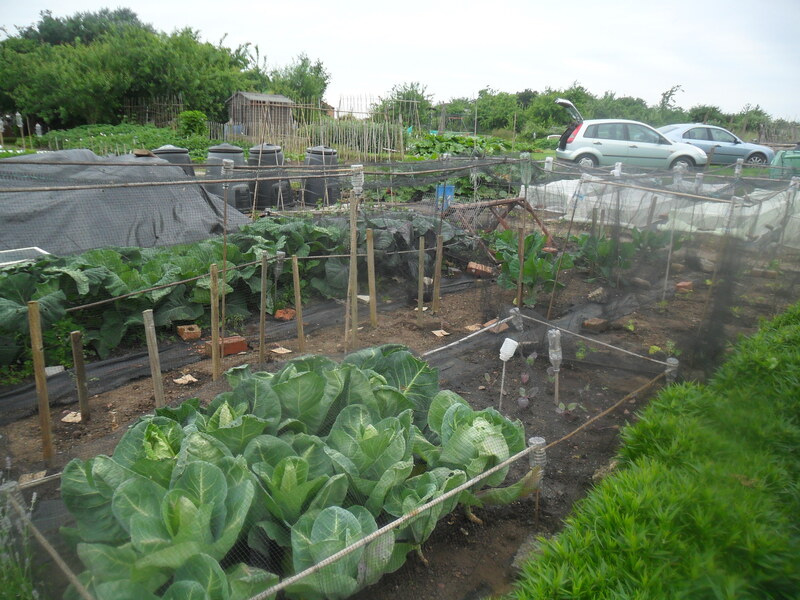 I have so much to write about today, as I have been working so hard at my allotment this week. 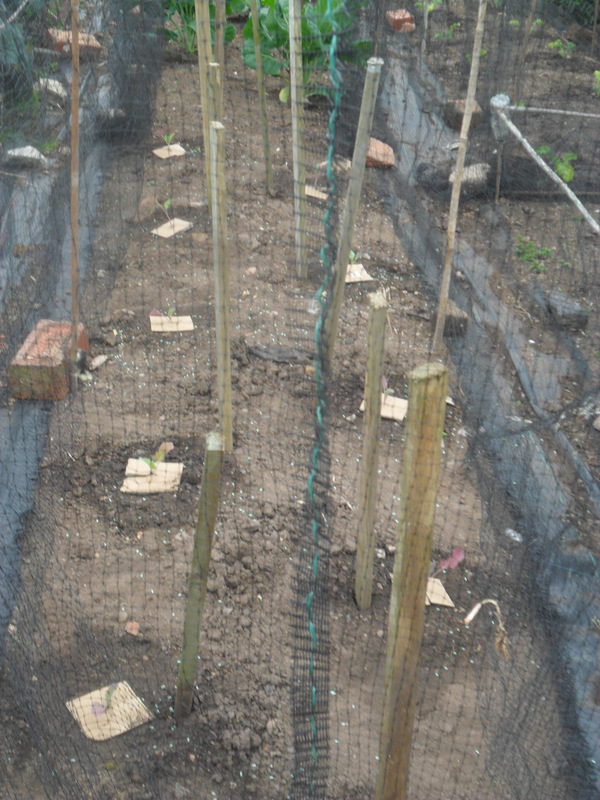 I wanted to finish planting all my crops before the long school holidays begin, in exactly one weeks time. The schools here in Leicestershire break up earlier than the rest of the country. 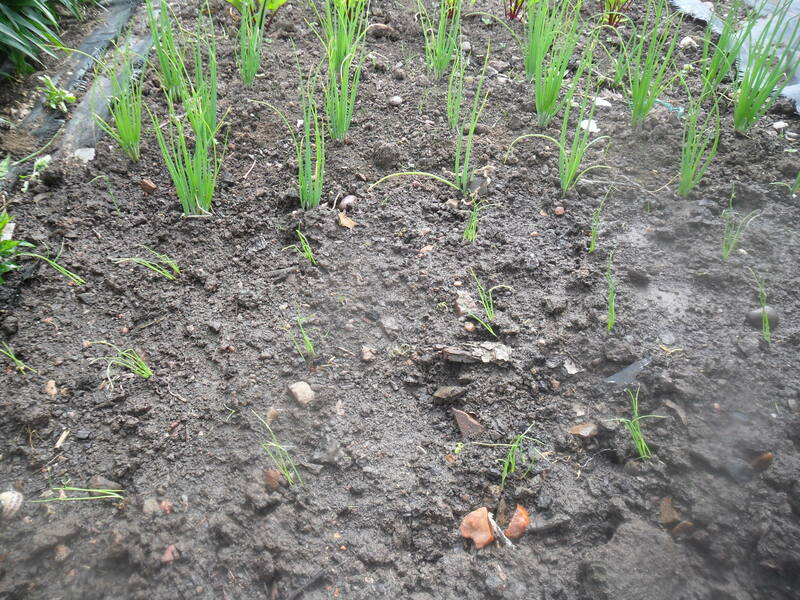 In the right hand photograph above, you can just see the newly planted spring onions and you can see the ones I planted out three or four weeks ago growing nicely behind. 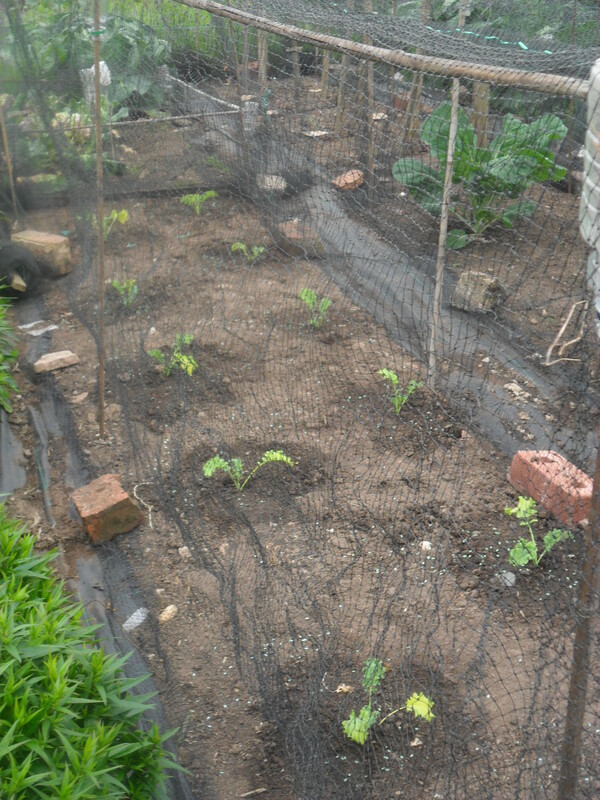 I also planted out my spring broccoli, curly kale and some more khol rabi. 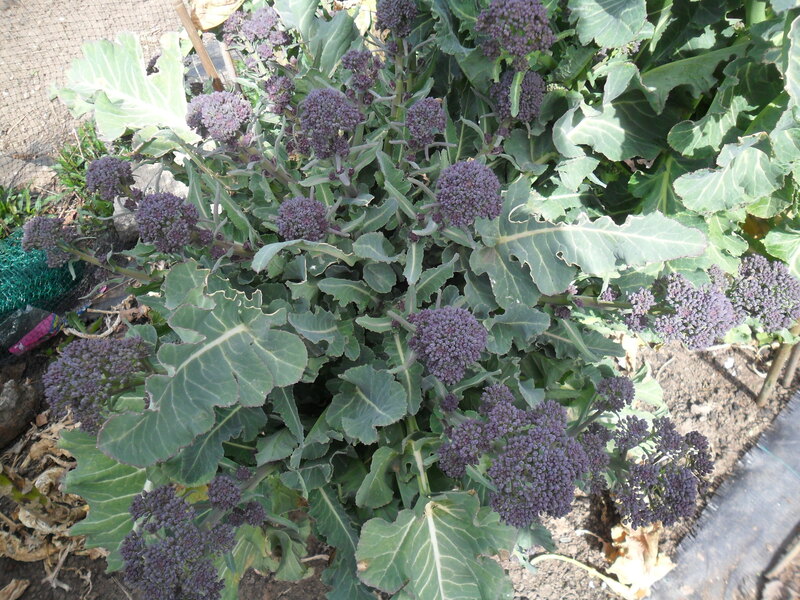 All of the brassicas were planted in firm soil which I had dug and manured last autumn. 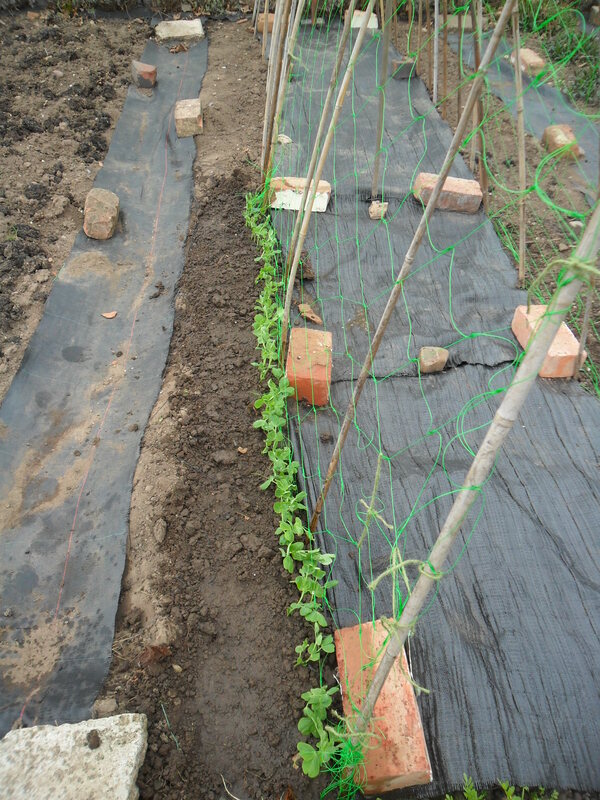 I also walked over the area before planting. 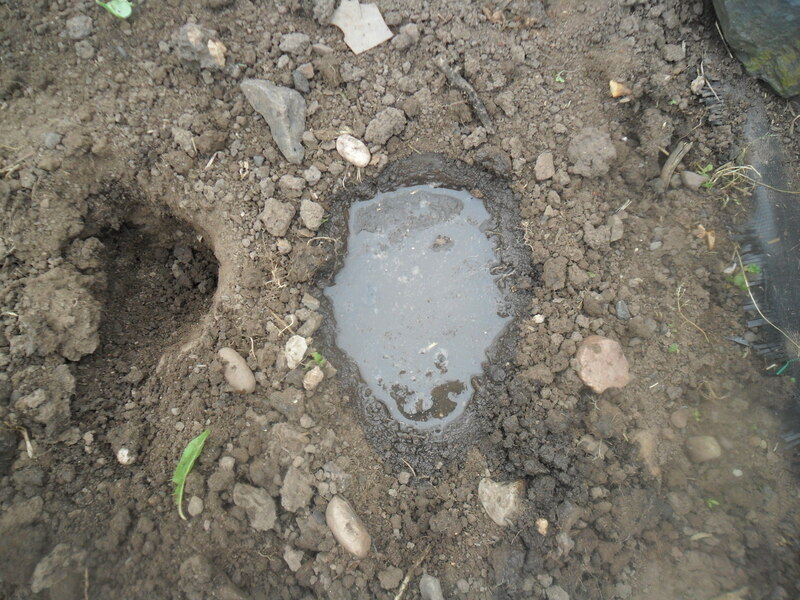 As the ground was dry when I planted the brassicas out, I dug a hole for each plant and filled it with water. 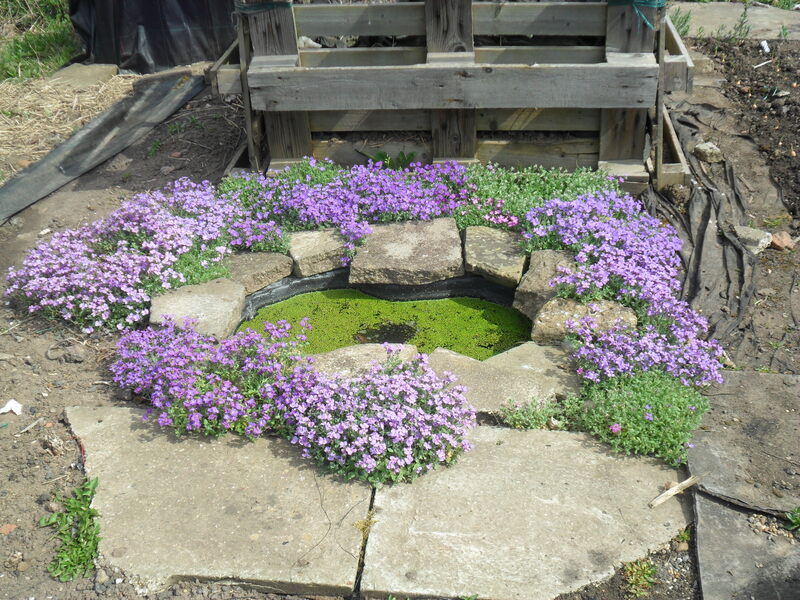 When the water had drained away, I then planted them. 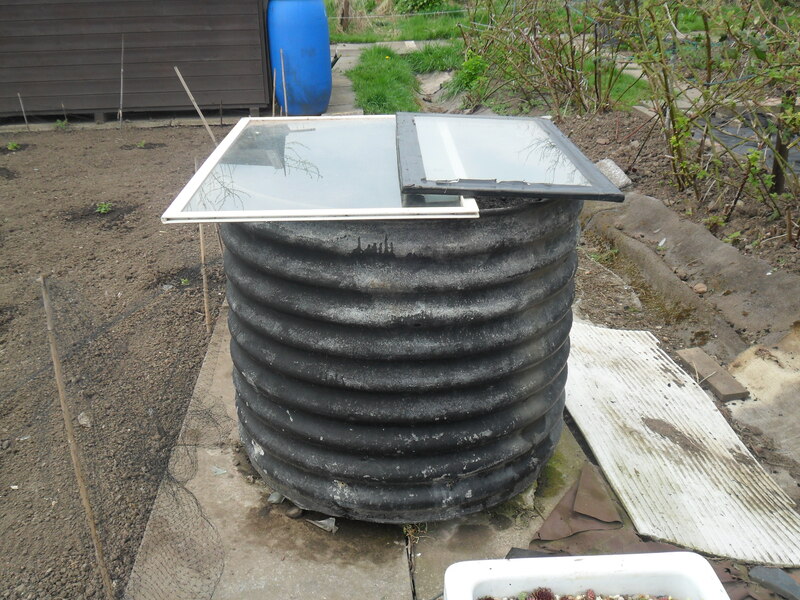 This allows the water to go deep into the ground to encourage the roots to also grow deep to find the water. 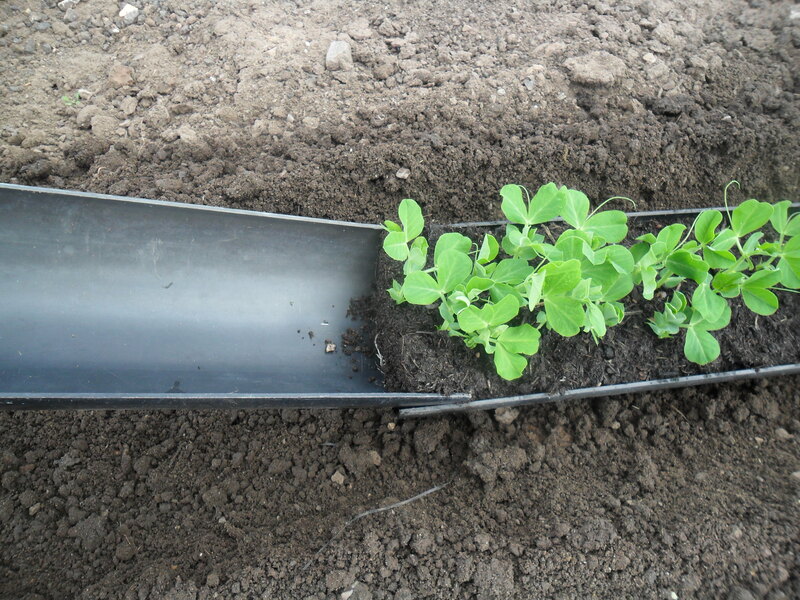 It also helps to stop the water from evaporating quickly after planting. 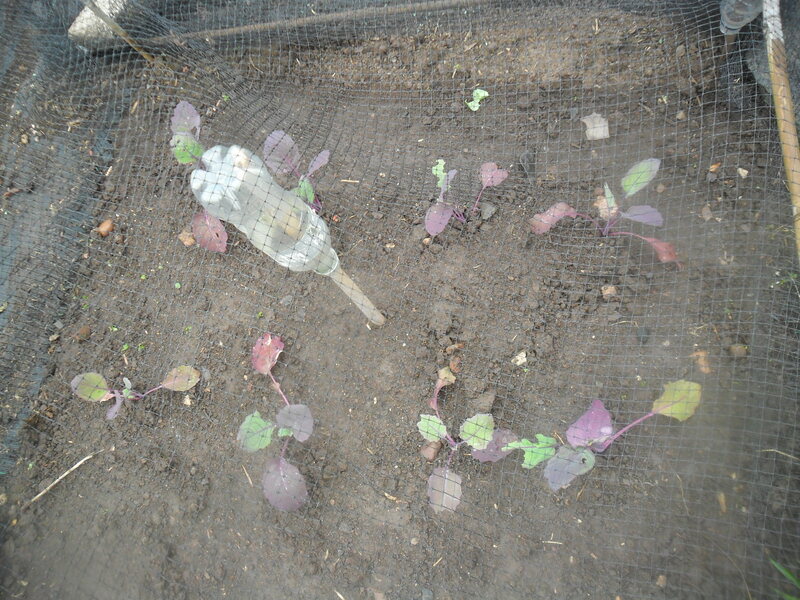 All my brassicas have nets over, to stop the dreaded pigeons eating them. 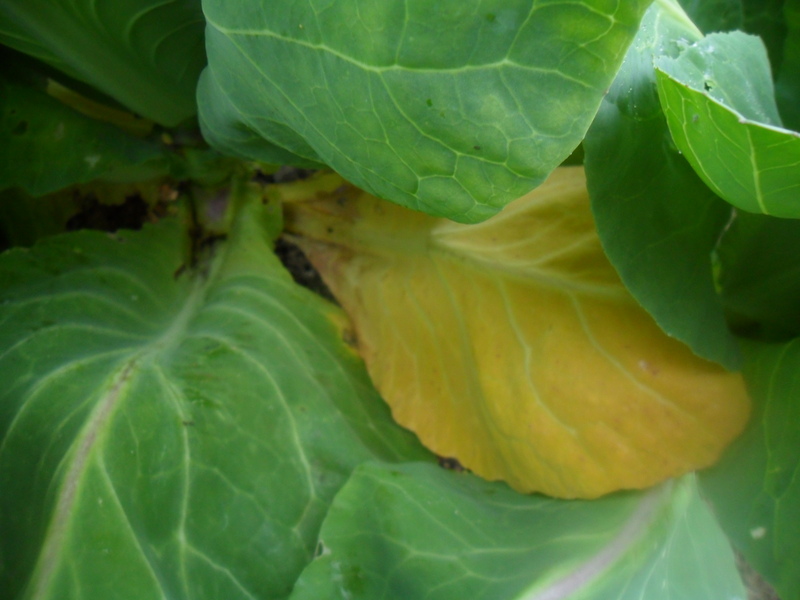 While I was working in my brassica patch, I removed any yellowing leaves from my remaining spring cabbages. 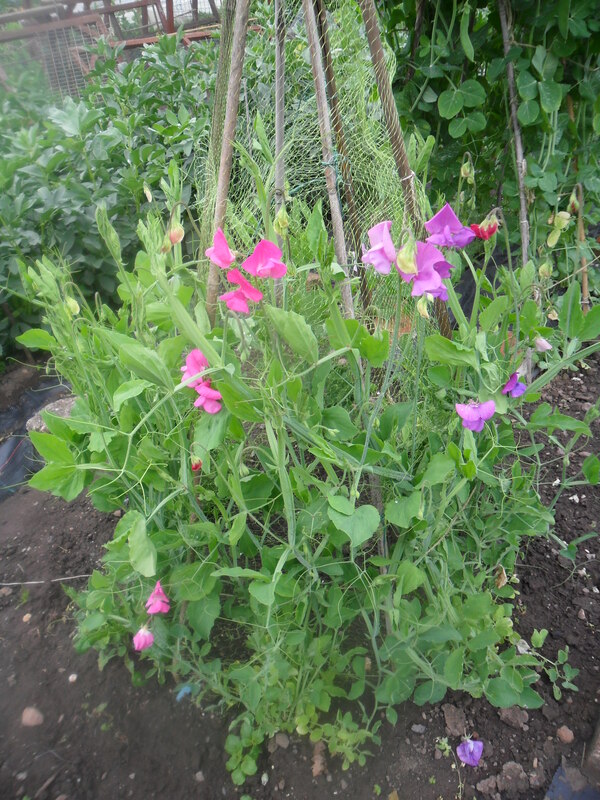 This will help to stop the build up of any pests or diseases lurking in them. 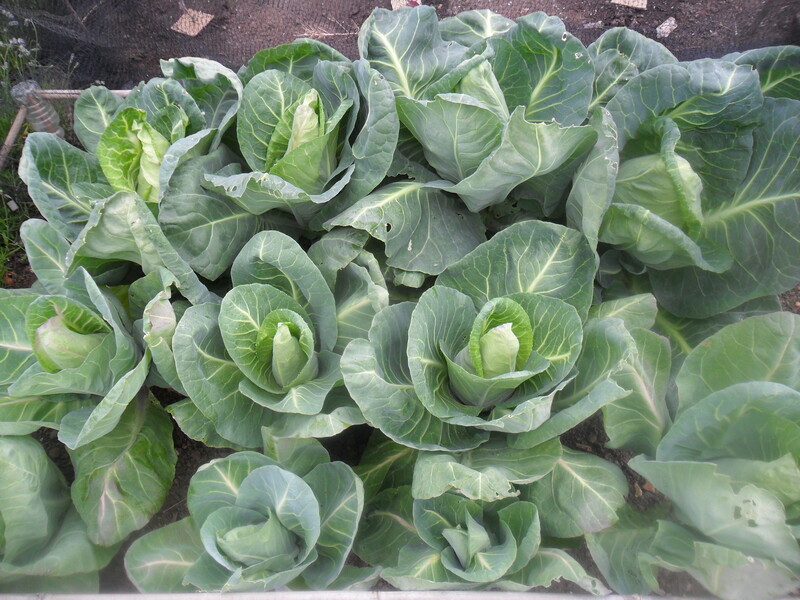 These cabbages were planted a month after my first spring cabbages and they are now starting to heart up nicely, so I will start to use these now. 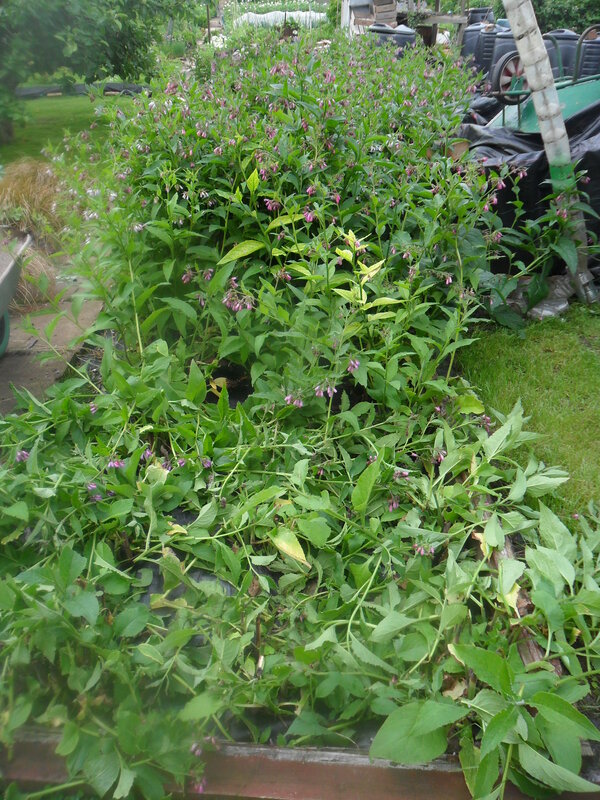 This week I cut my comfrey down. I prefer to cut my comfrey down before it flowers, but I just wasn’t quick enough this month. 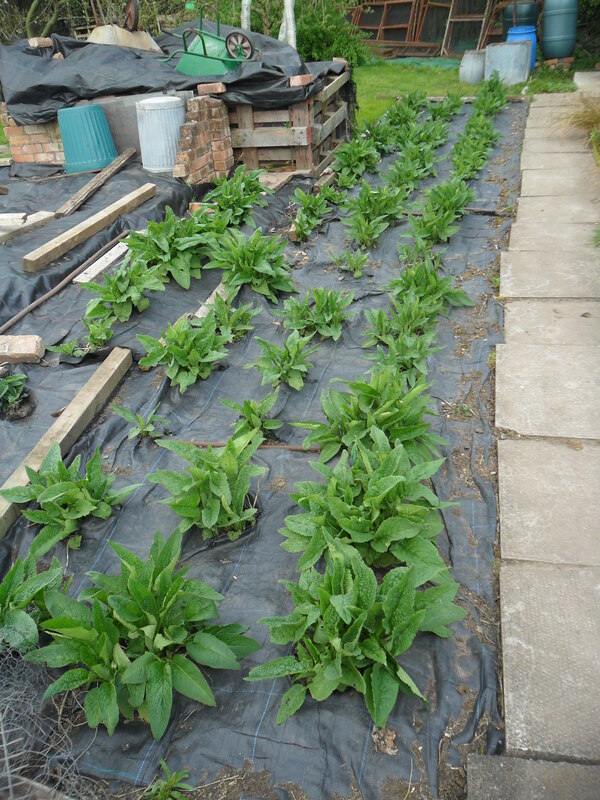 If you have been reading regularly, you will know that I have already made comfrey tea this year (which incidentally is a wonderful high potash fertiliser used for all fruit and flowers e.g. 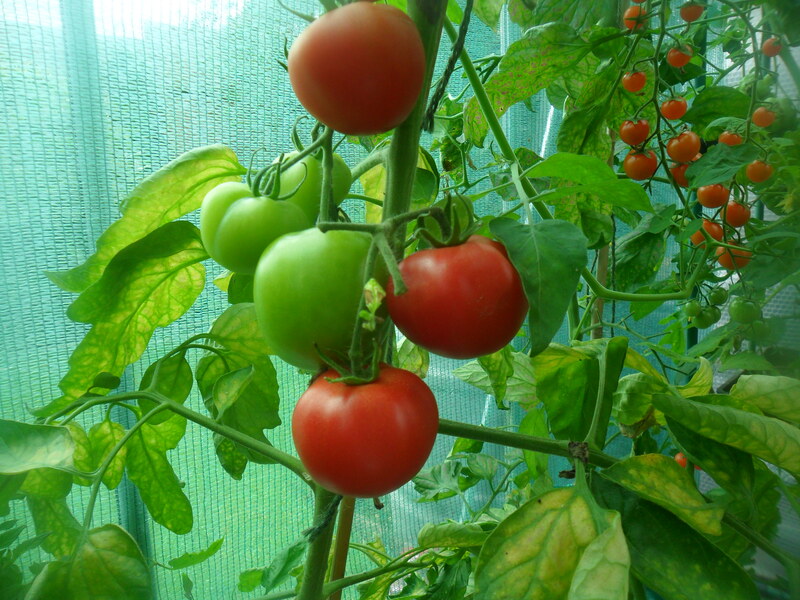 it is a great tomato feed). 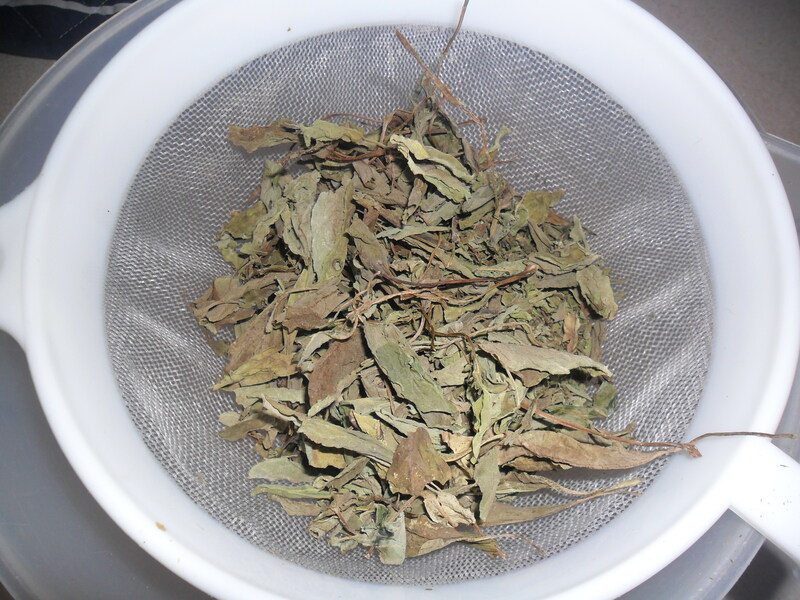 You can read how to make comfrey tea here. 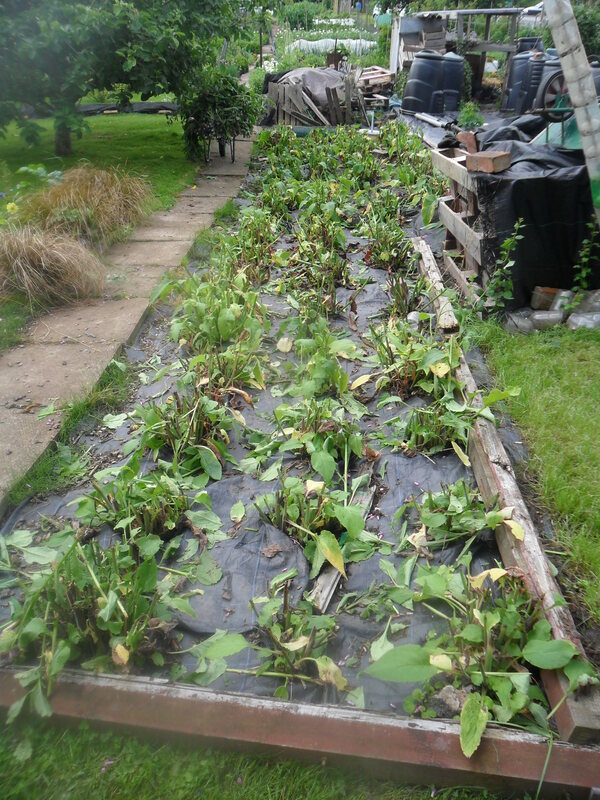 I have also added a vast amount of comfrey to my compost bins already this year. 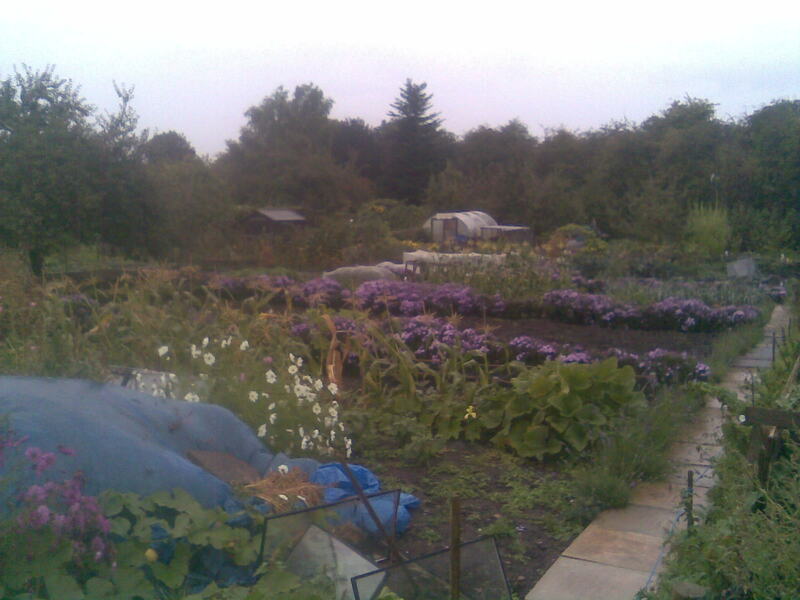 So when I cut it down at this time of the year, I lay it down between my main crop potatoes instead. 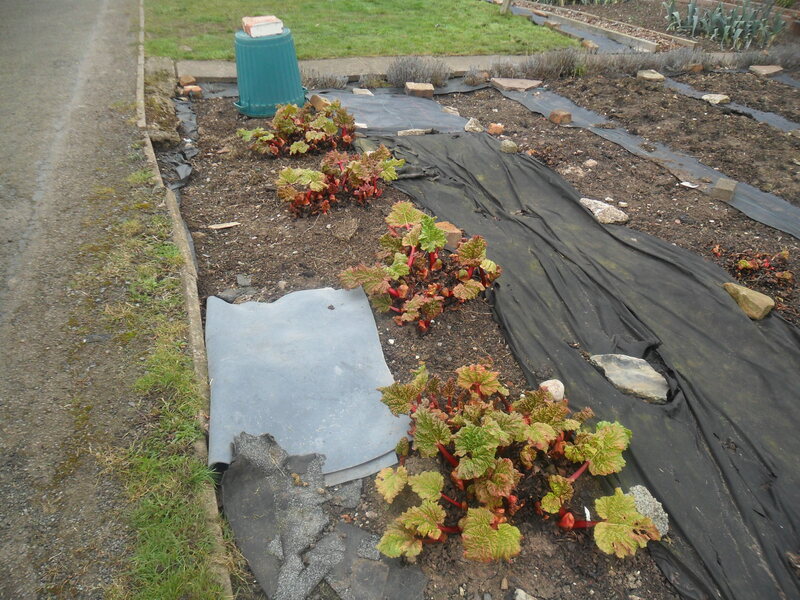 This acts as a mulch to help to stop water evapourating from the ground and also helps to stop annual weeds from germinating. 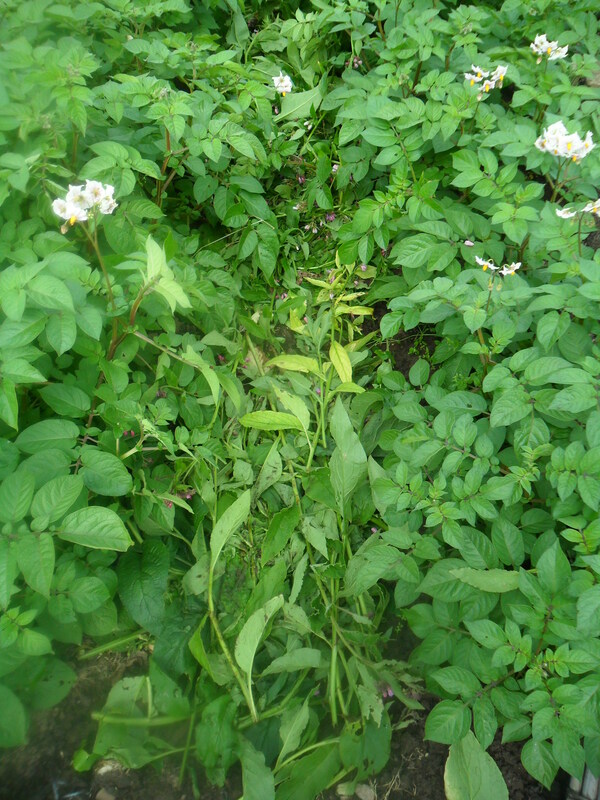 When the comfrey breaks down, I just dig it into the ground to add nutrients to the soil. I think comfrey is a wonderful plant! 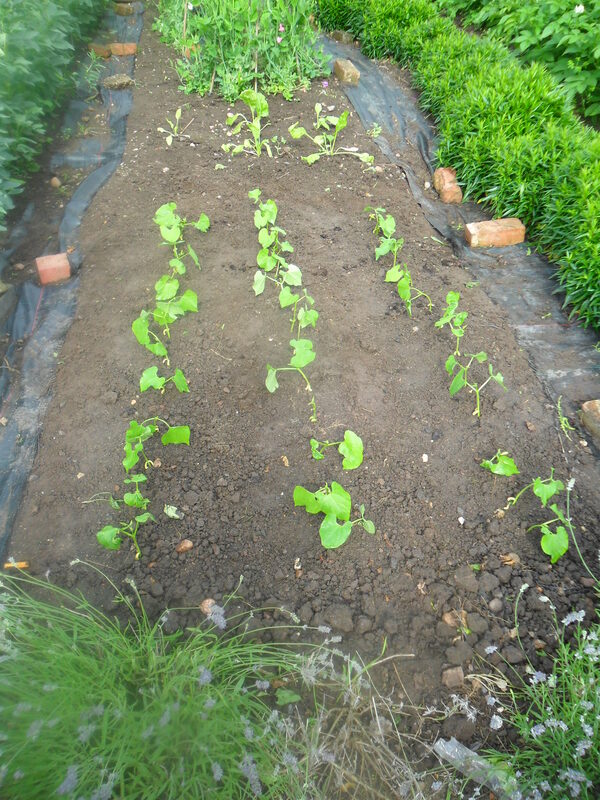 Plants have been growing slowly due to the cold spring we have had. 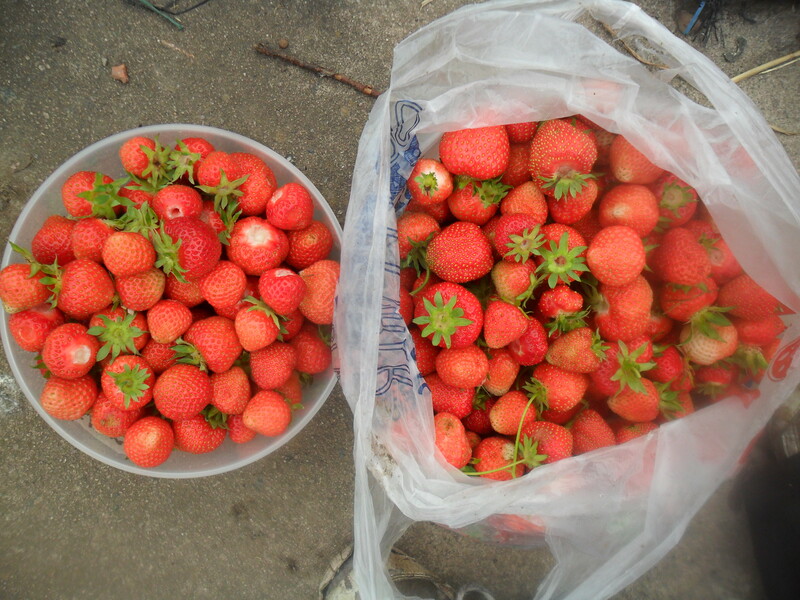 However, the plants are finally now producing and I seem to be having a bumper harvest. 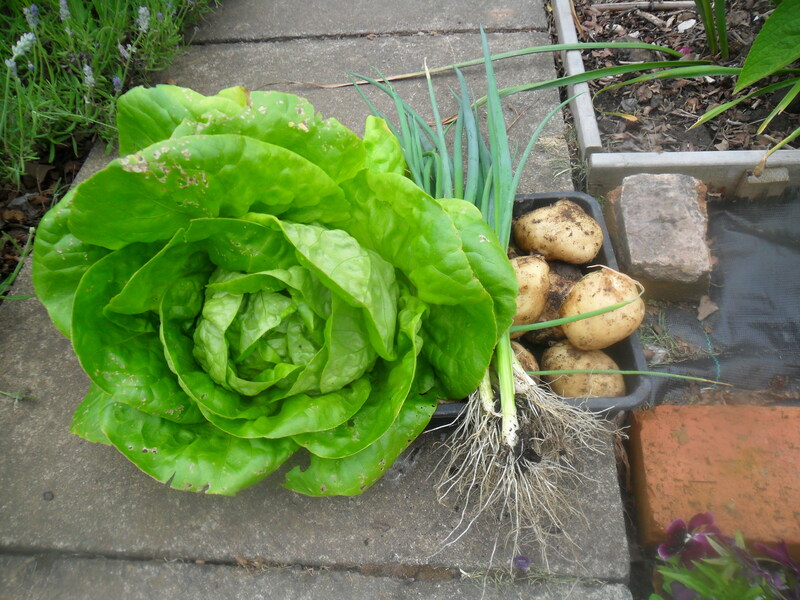 My potatoes taste delicious (especially with a knob of butter) and we are eating lots of lettuces, watercress and spring onions….I love summer so much. 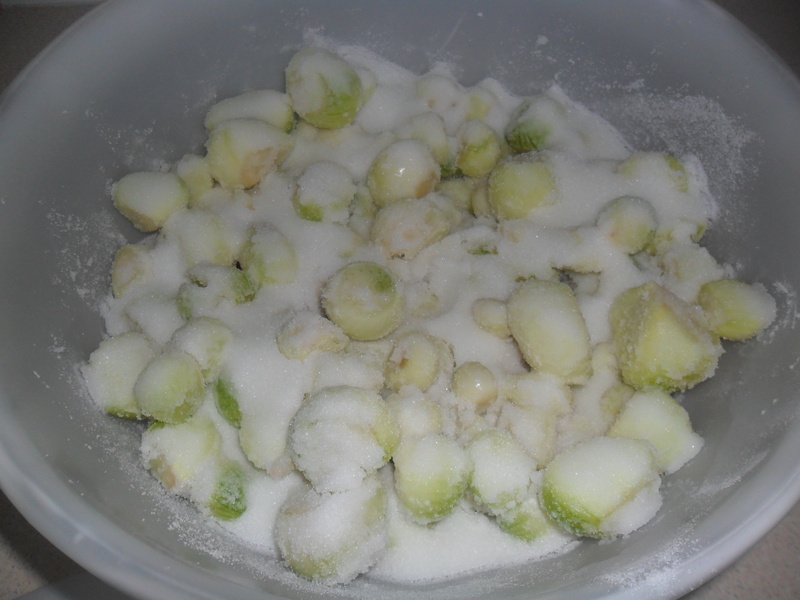 Of course the down side is that I had to defrost my freezer ready for all the fruit and vegetables that I have been bringing home…. 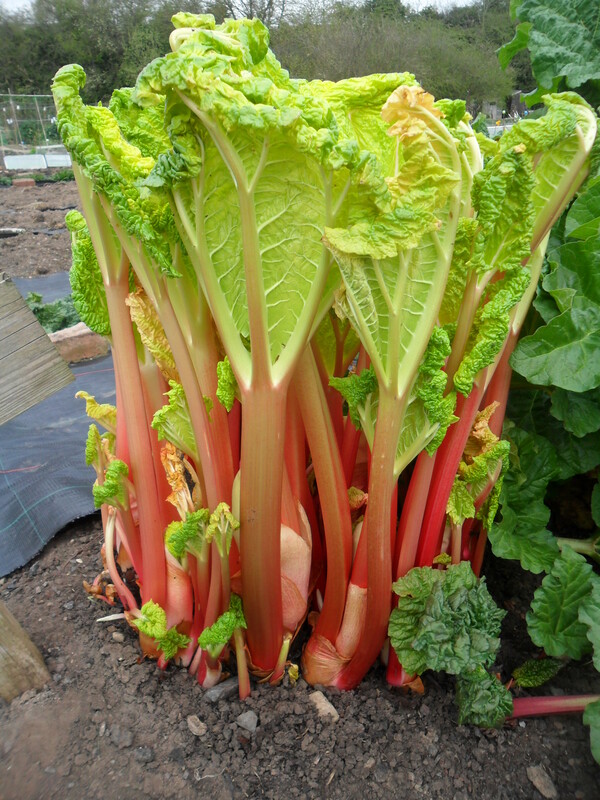 .,….but it will be worth it when we are still tasting ‘summer’ in the long cold winter months. 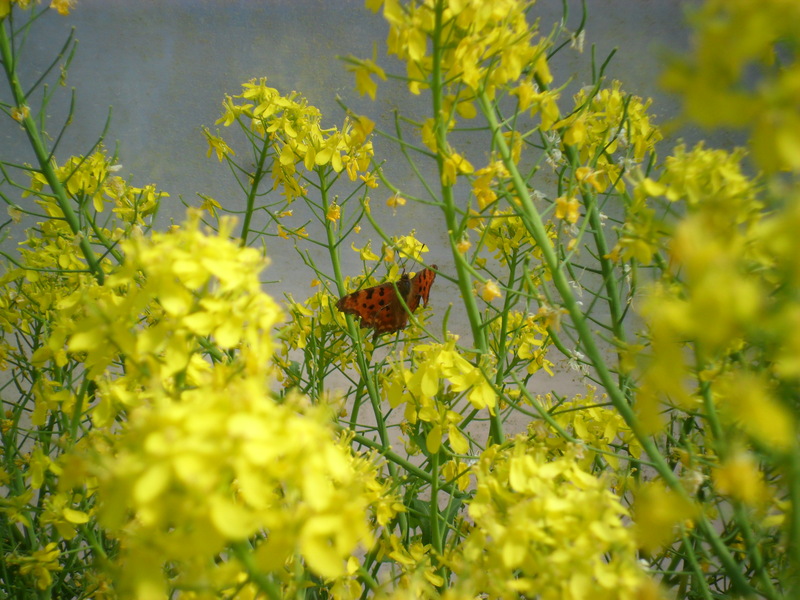 I hope you enjoyed reading my blog today. I will be back on Monday with some Jam making tips. 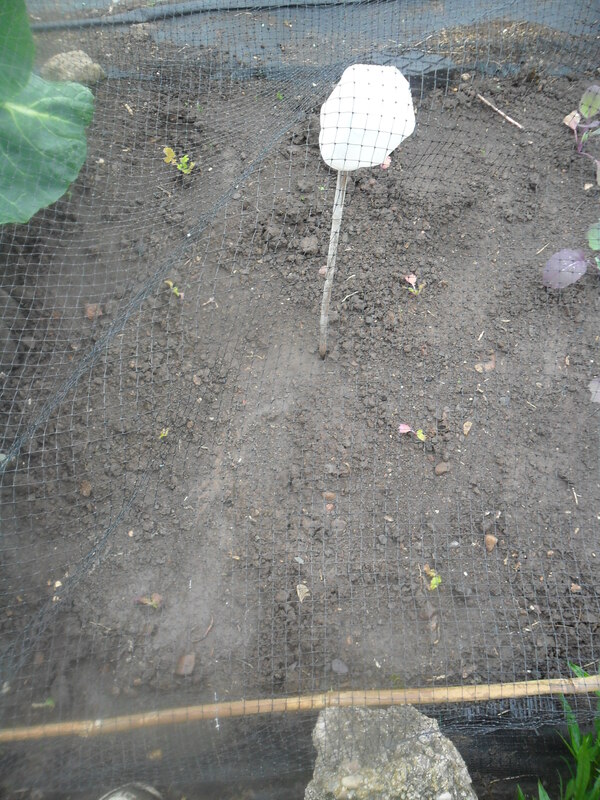 At the allotment at the weekend, I moved a pumpkin that was growing in my new woodland area. 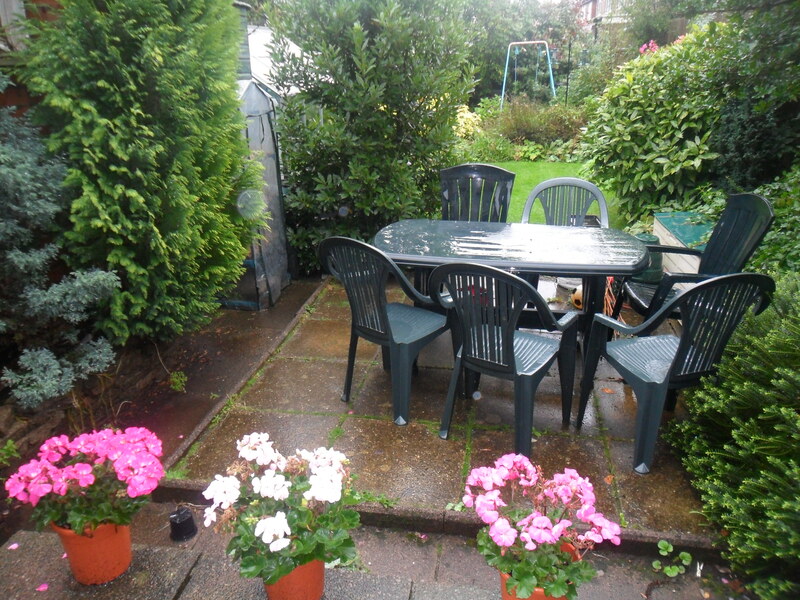 The pumpkin wasn’t massive, but it was in the way, as I now need to plant some daffodil bulbs and some English Blue Bells in this area. 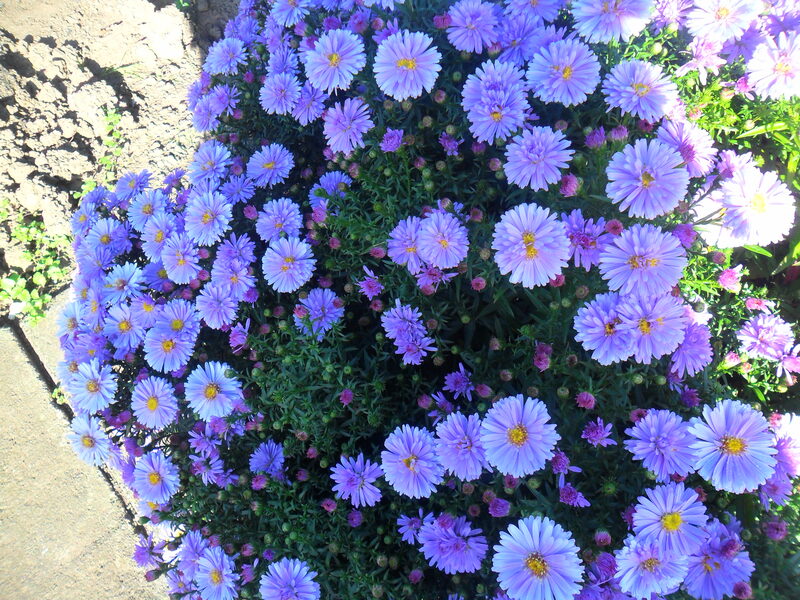 The allotment is looking beautiful at the moment as my Michaelmas daisys are putting on a wonderful display. 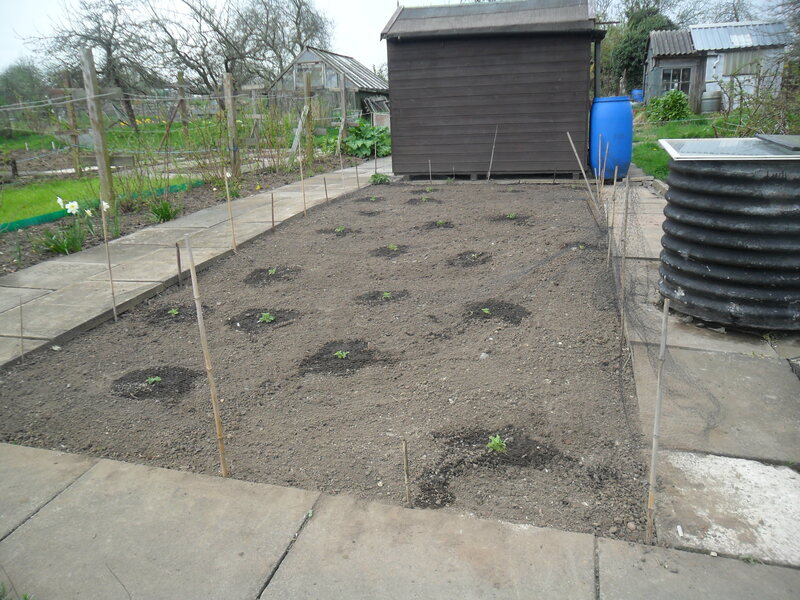 The first purpose is to divide my four rotational beds, which are potatoes, brassicas, onions and roots and finally legumes. The second purpose is they always remind me of my grandad, whose birthday was on September 29th, which is ‘Michaelmas daisy day’. I never met my grandad as he died before I was born, but my mum said he was a lovely man and has told me so much about him. The third purpose is the bees. 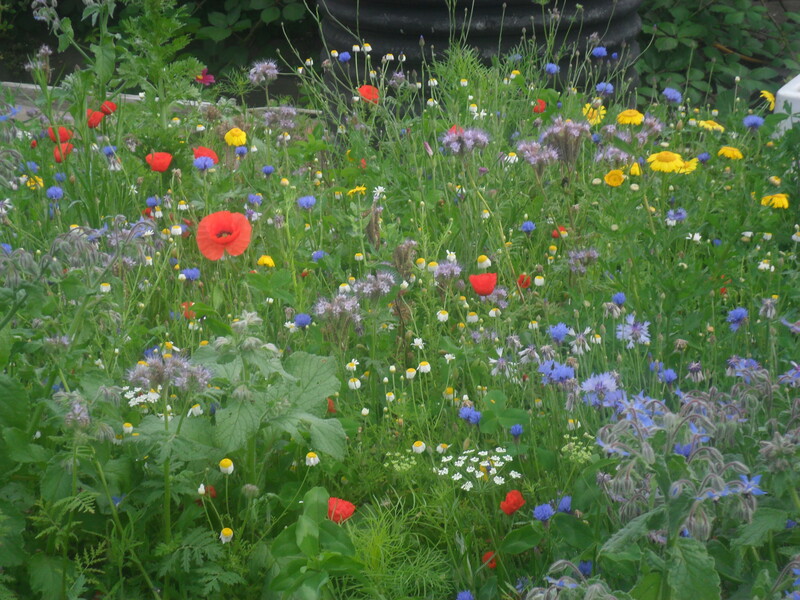 I try so hard to make sure there are flowers for the bees in every season of the year. 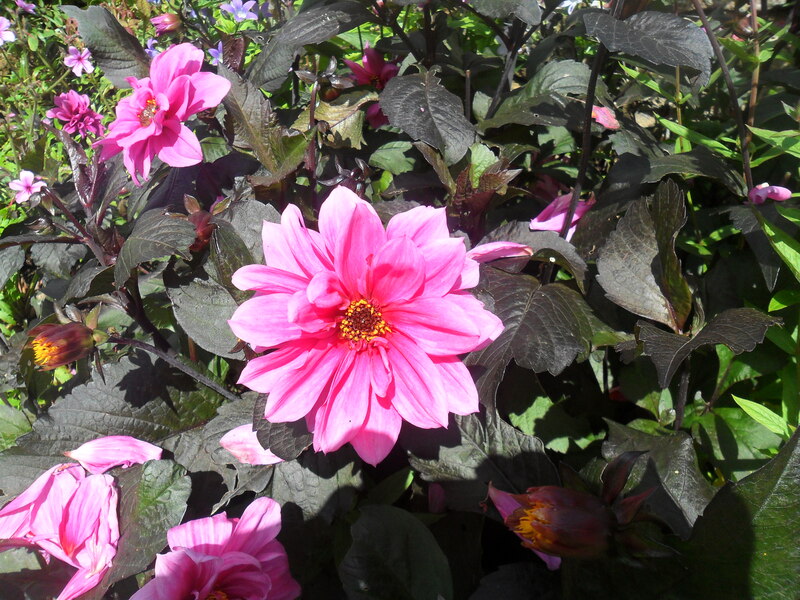 And finally, the fourth purpose is….they just look stunning when they are all out in bloom. (but not a sponge cake as his birthday cake was a sponge cake). 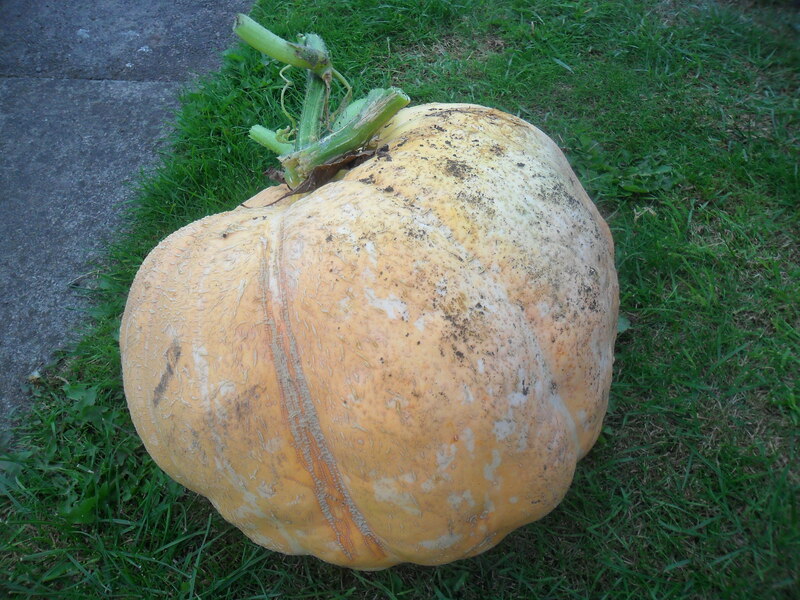 After much thought, I decided to make a Pumpkin and Orange Cake, as I had just picked a pumpkin from my allotment. 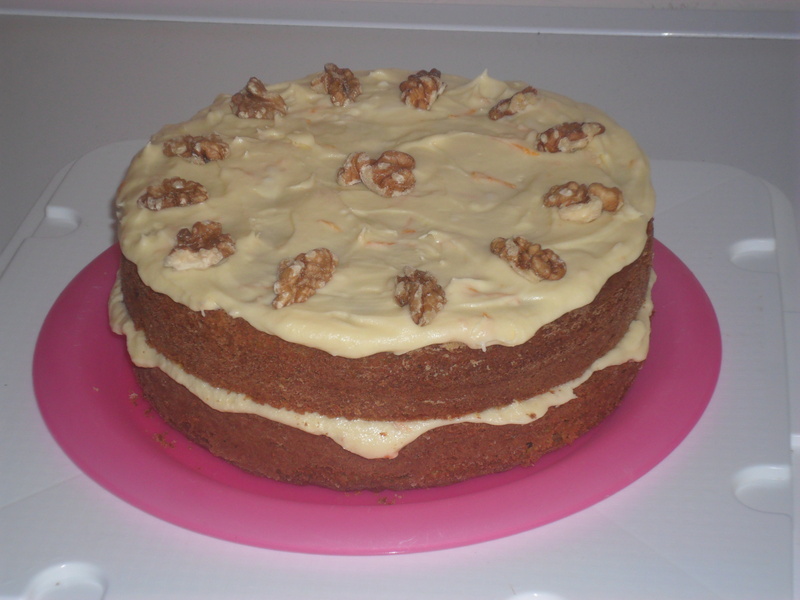 This is different to a normal sponge cake as it tastes similar to a carrot cake. You can find the recipe for the Pumpkin and Orange Cake here on my blog. Everyone seemed to enjoy it. 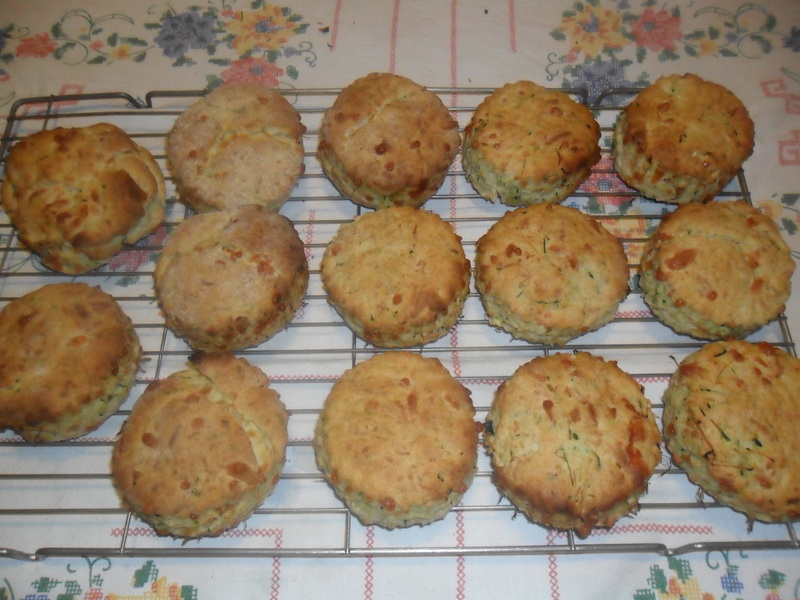 I also made some Cheesy Courgette Scones, of which you can find the recipe here. 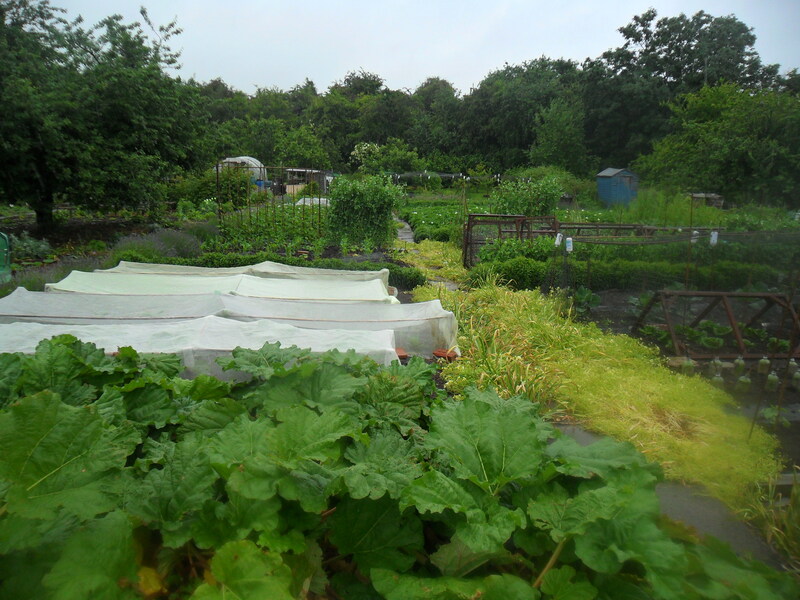 It has been a very wet and rainy day today, so I decided not to go to my allotment and use it as a ‘catch up’ day. 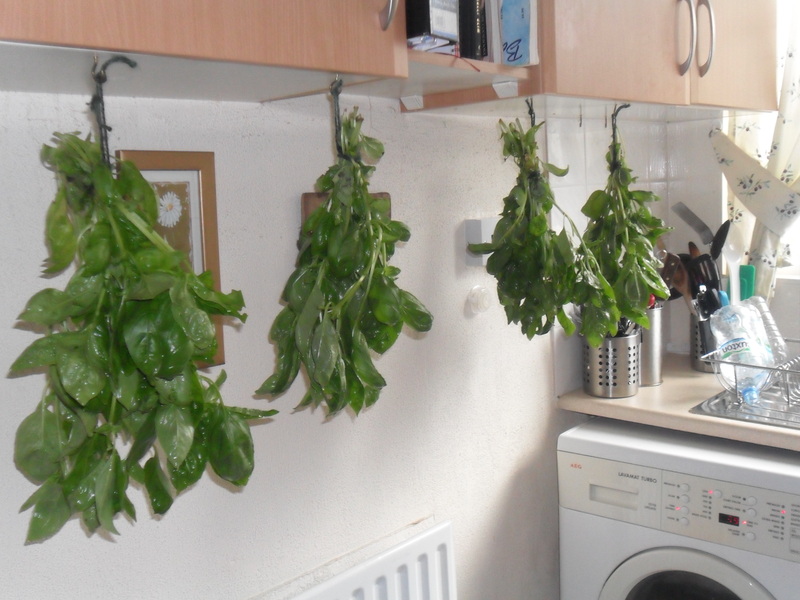 On the 6th August I hung my basil in my kitchen to dry. 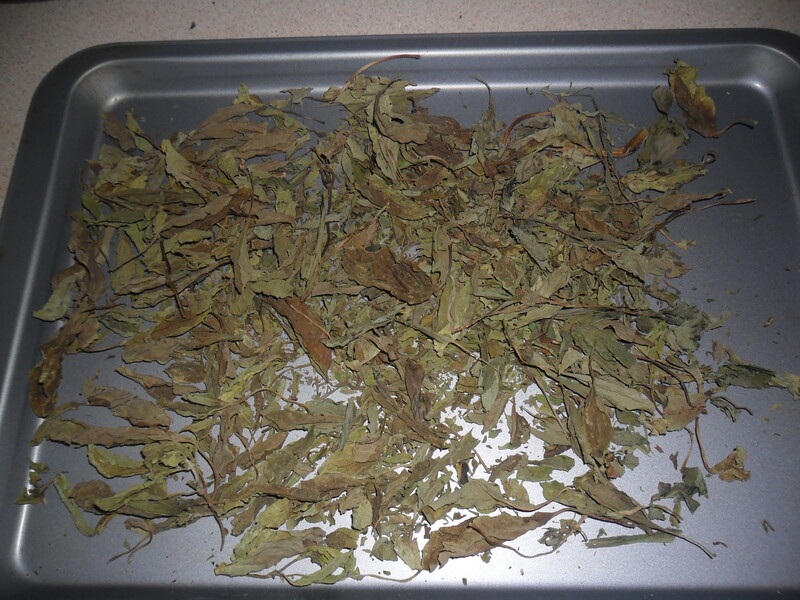 You can read about drying basil here. It’s not really been very warm lately and I have found my basil was just not drying quite as quickly as it should be. As it was nearly dry, I finished it off in my oven by putting the basil on two baking trays. This only took 1 hour on my lowest oven setting, with the oven door slightly open to lower the temperature even more. 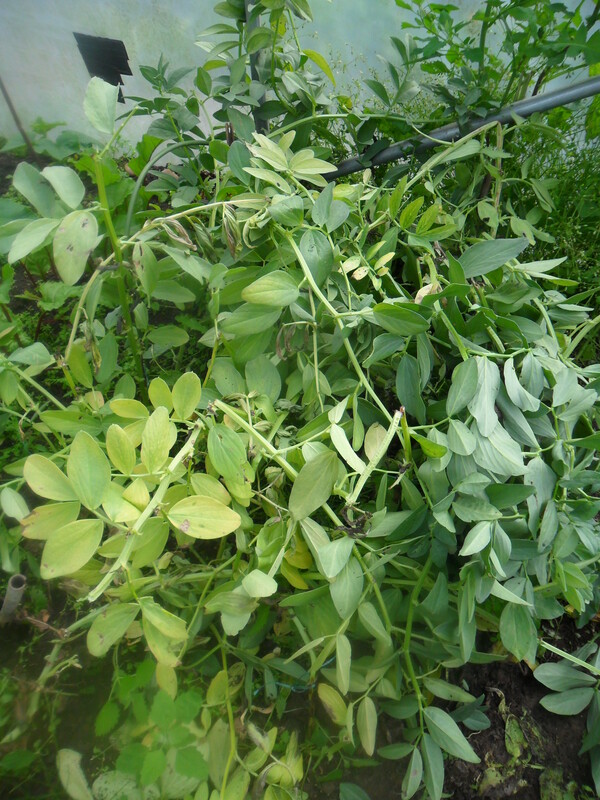 When it was completely dry, I crushed the leaves and removed the stalks. 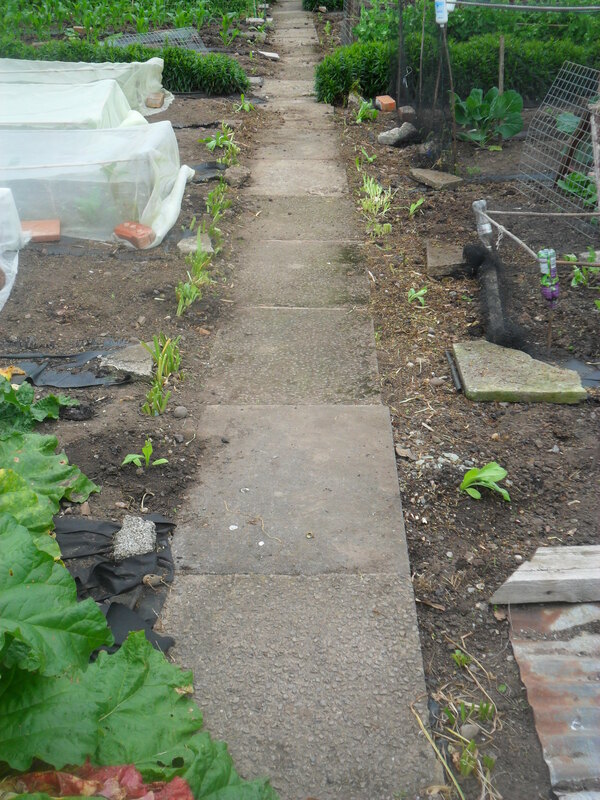 Just to make sure I had removed all the little stalks, I ran it through a seive. 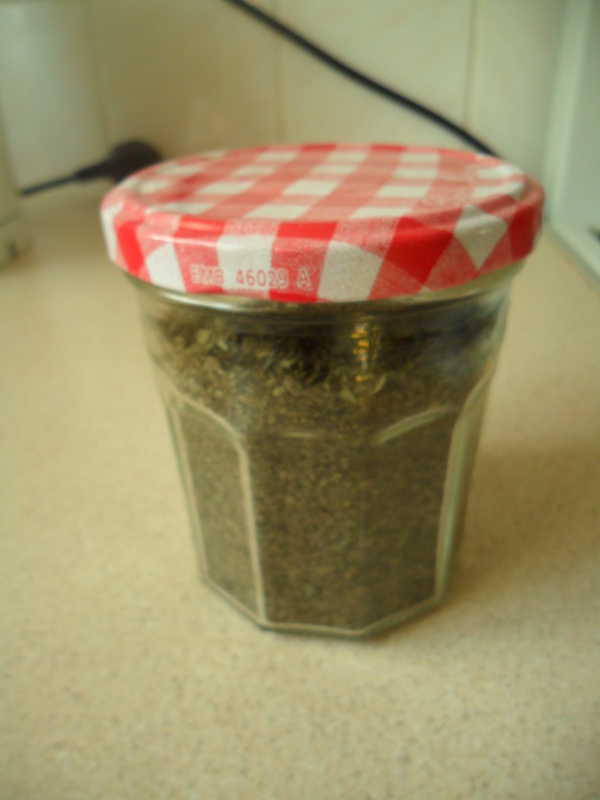 Then I put it in a sterilised jar and labelled it. That was another job out of the way, but one job I really needed to do was to sort my three freezers out. This is a job I do every payday, before I do a menu plan for the month. 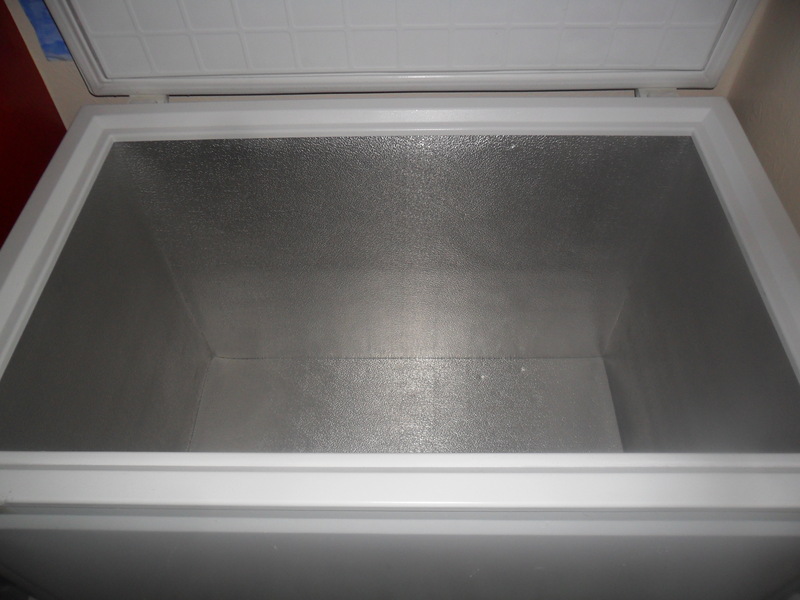 I started by emptying each freezer in turn and then writing down the contents, as I put the items back in. The above two photos show the contents of one of my three freezers. It takes quite some time to do this, but it helps me to save money when I meal plan and nothing ever gets wasted. 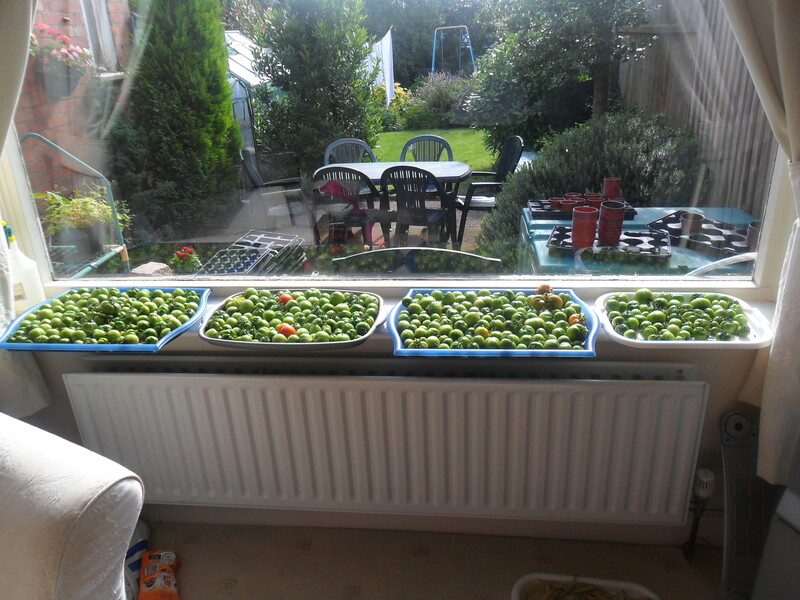 I was asked at the weekend if I have a good recipe for Green Tomato Chutney. I never make this chutney as I always seem to manage to ripen my tomatoes on my windowsill. 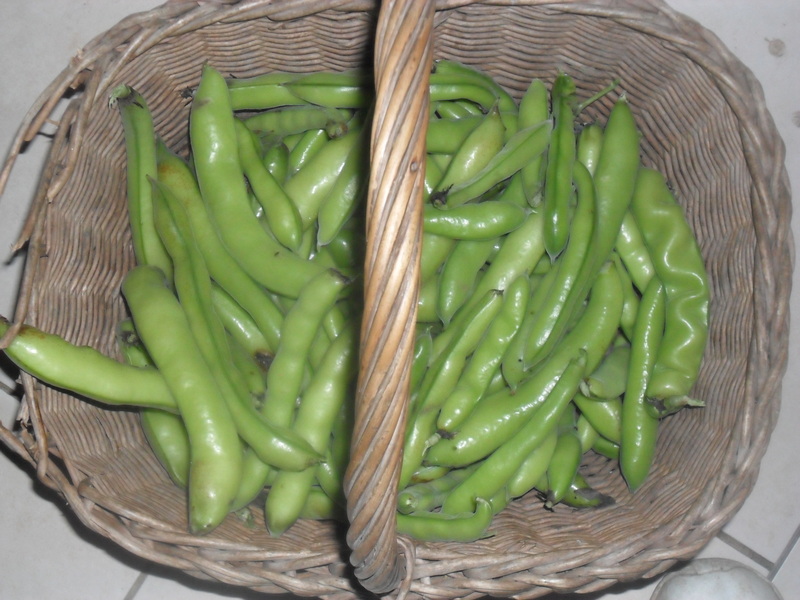 You can see how I ripen them here on my blog. However, my dad has been making it for years and it always tastes delicious. Bring to the boil and simmer for 20 minutes or until soft. 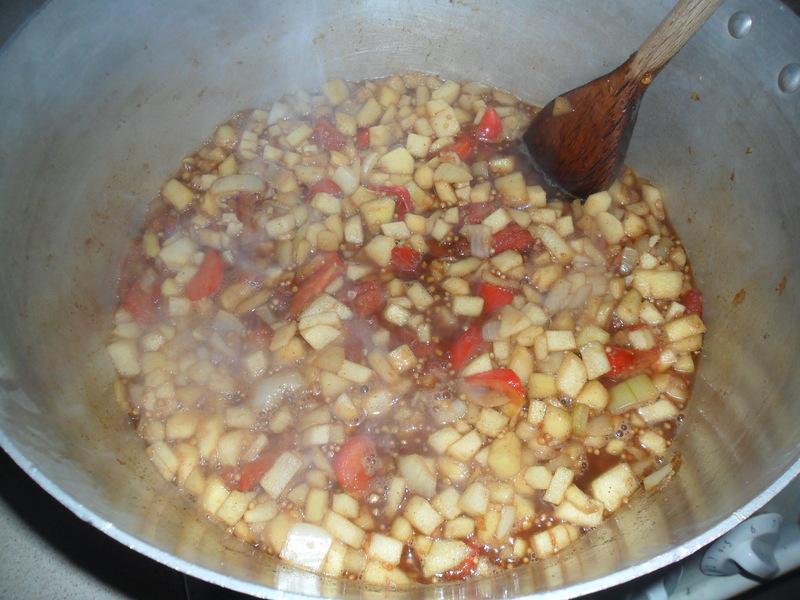 Stir in the sugar until dissolved, then simmer uncovered until the chutney is thick, stirring occasionally. Pour into hot sterilised jars and seal. Label and store for a week before use. 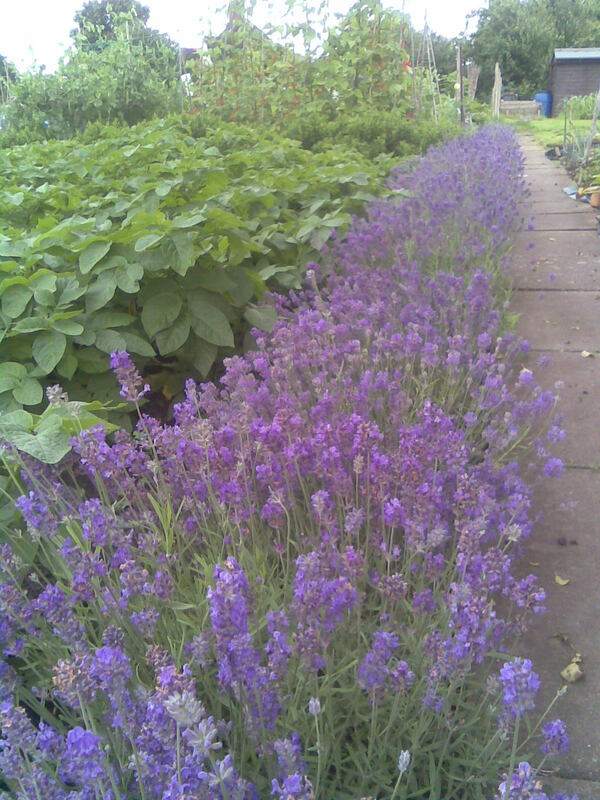 My lavender hedge at the allotment in July.